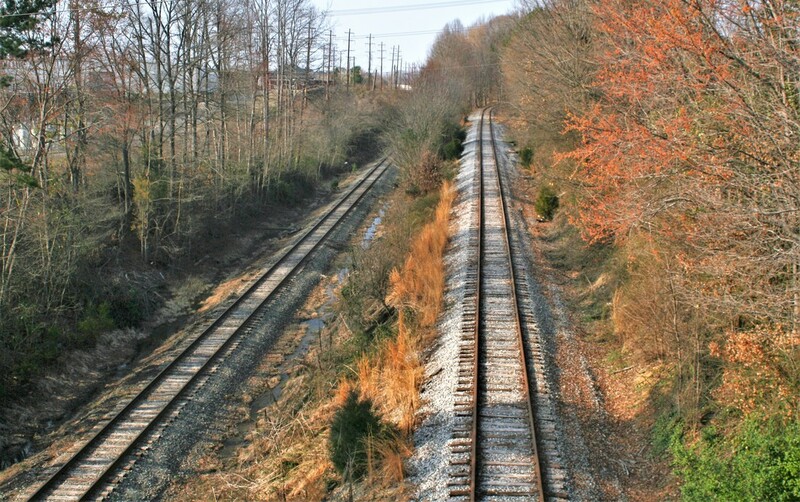 As a north-south route passing through the heart of west central North Carolina, the Winston Salem Southbound Railway (WSSB) is as varied in topography as it is in lineage. 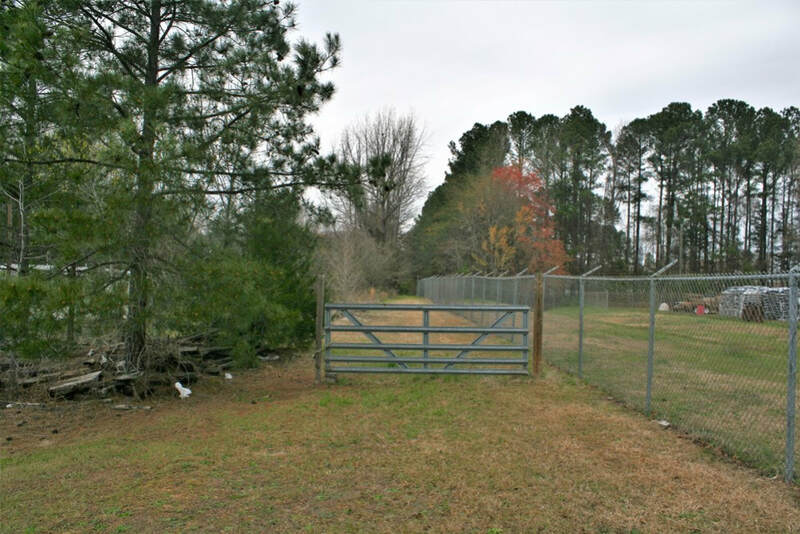 It connects the northern Piedmont foothill region with the Southwest sector of the state in proximity to the South Carolina border. The route is characterized by the urban Winston Salem area at its northern endpoint and throughout its course, marked by small towns and cities interrupted by rural stretches until reaching its southern terminus at Wadesboro. A terrain of small hills define its northern reaches and the region between Lexington and Norwood is within the sphere of the Yadkin River and its chain of lakes. South of Norwood to Wadesboro, the railroad traverses a predominately rural region bordered by farmland and a transition in flora from deciduous trees to pines. 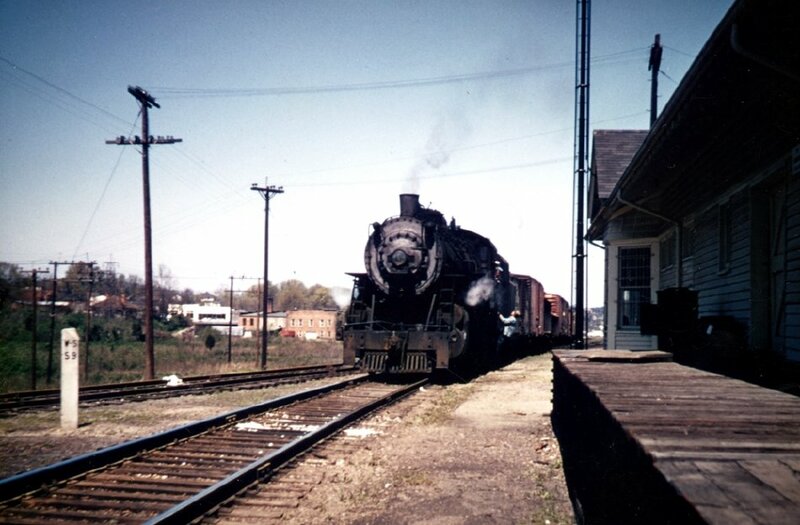 From north to south, the route is on a gradual descent as it moves through the Piedmont and terminates near the Sandhill region Historically, both the greater population and industry was located along the northern sector of the line from Winston Salem to south of Lexington at Southmont. This remains true today. The 90 mile railroad provided a direct north-south passenger network with run through connections to both the N&W and ACL in addition to other regional roads. Its commerce was a varied lot in the past such as coal, textiles, aluminum, and tobacco. Modern day products hauled by the railroad include ethanol, grain, fertilizer and corn syrup among others. Integrated into the rail network, it interchanged with other roads in addition to its N&W-ACL parents. 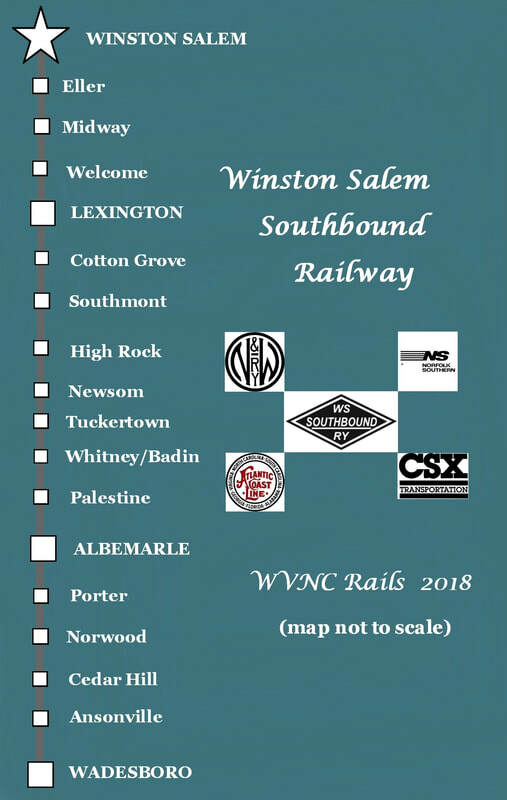 The list includes connections with the Southern Railway at Winston Salem, Lexington, and Whitney (NS). 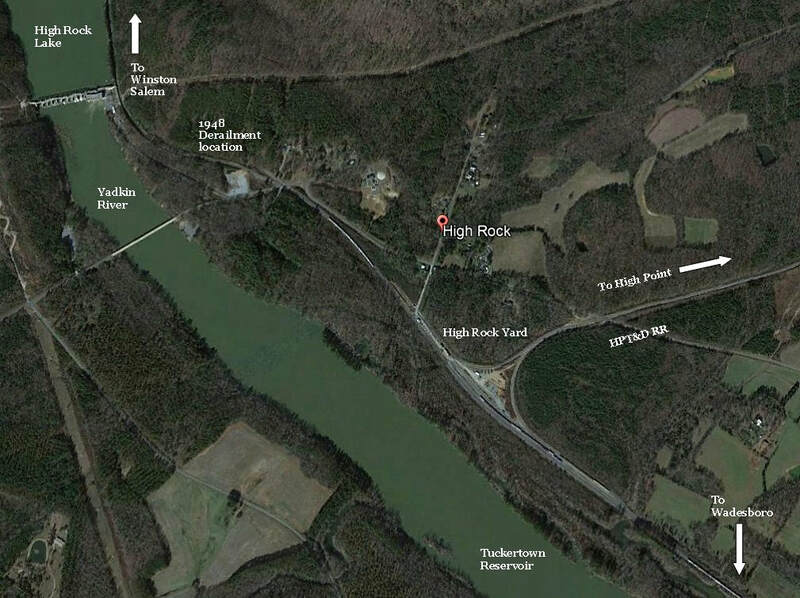 At High Rock was a connection with the High Point, Thomasville and Denton Railroad (HPT&D). 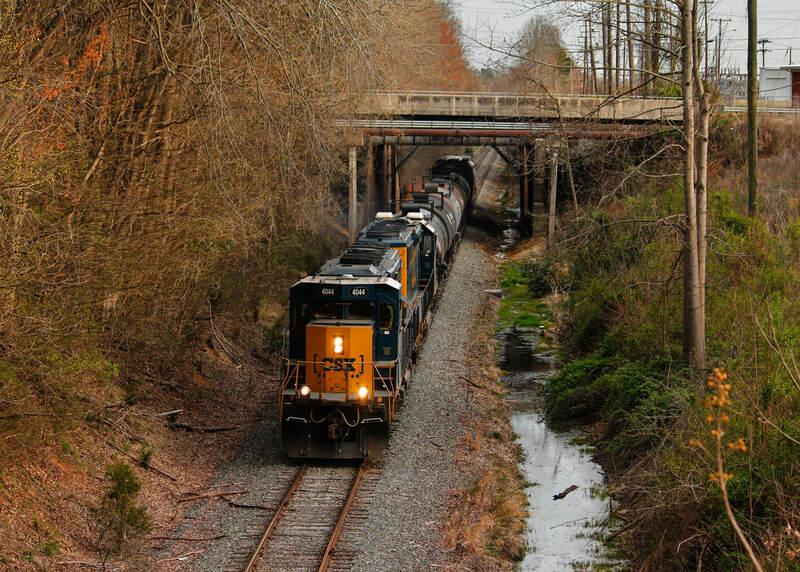 In Norwood, it shared a connection with the original Norfolk Southern (now the Aberdeen, Carolina and Western) as well as indirect access to the Seaboard Air Line at Wadesboro (CSX). 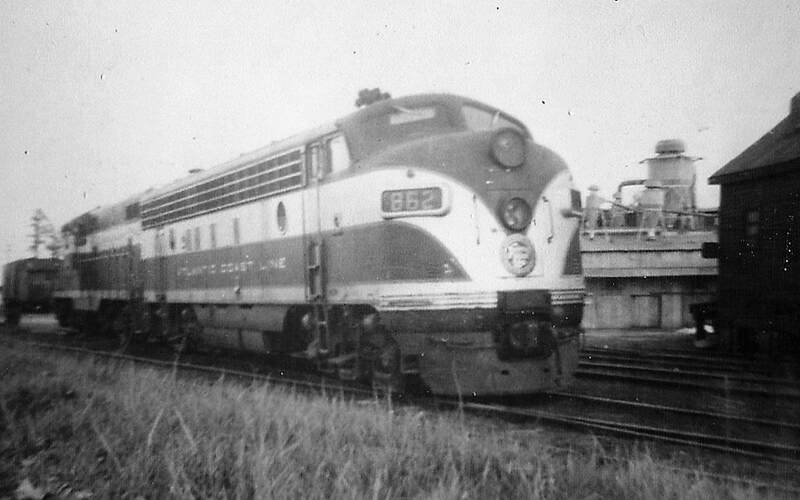 In later years the connection at Wadesboro became a direct one to SAL successor Seaboard Coast Line. In 1887, the Assembly of North Carolina passed a number of charters authorizing the construction of railroads and a specific area targeted was that of the Winston and Salem (pre consolidation) area. These actions resulted in the eventual construction by the Roanoke and Southern Railroad (Norfolk and Western Railway predecessor) and the expansion of the Southern Railway (predecessor Richmond and Danville Railway) to North Wilkesboro and Mooresville. 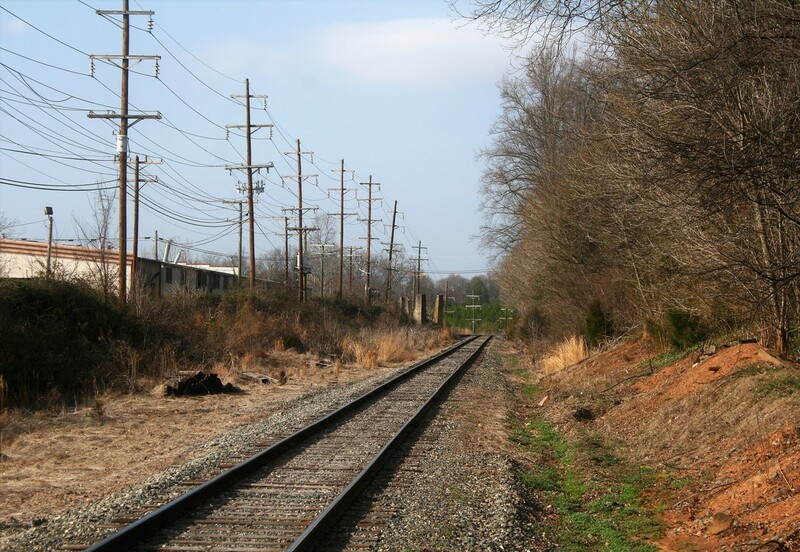 Interest was also prevalent in building a railroad due south from Winston and Salem and conversely, simultaneous intentions existed by a southern road to construct northward to reach Winston and Salem. Surveys were made by the Northeastern Railroad (Charleston, SC-Florence, SC) and the Cheraw and Darlington Railroad. Although the railroad was never constructed by either of these roads, the surveys resulted in their successor Atlantic Coast Line Railroad ultimately co-fulfilling the goal. If not for a financial depression during 1907, the Southern Railway would have transformed its already dominant position in western North Carolina into a virtual monopoly. Nearly added to its rail network in that sector of the state was the route surveyed between Winston Salem and Wadesboro chartered in 1905 as the Winston Salem Southbound Railway (WSSB). Work had commenced on the construction of the right of way but the depression of 1907 suspended the financial support and the building of the rail line halted. Into this vacuum created by the sale of the Southern Railway holdings stepped the mutual interests of the Atlantic Coast Line Railroad (ACL) and the Norfolk and Western Railway (N&W) which in 1909 purchased the entire stock. During the initial chartering that occurred in 1905, cities and towns had voted on bonds to fund the railroad construction before the Southern Railway entered the picture in 1906. Now under new control by the ACL and N&W, both forsook the bonds deciding to build the WSSB with their own respective capital. 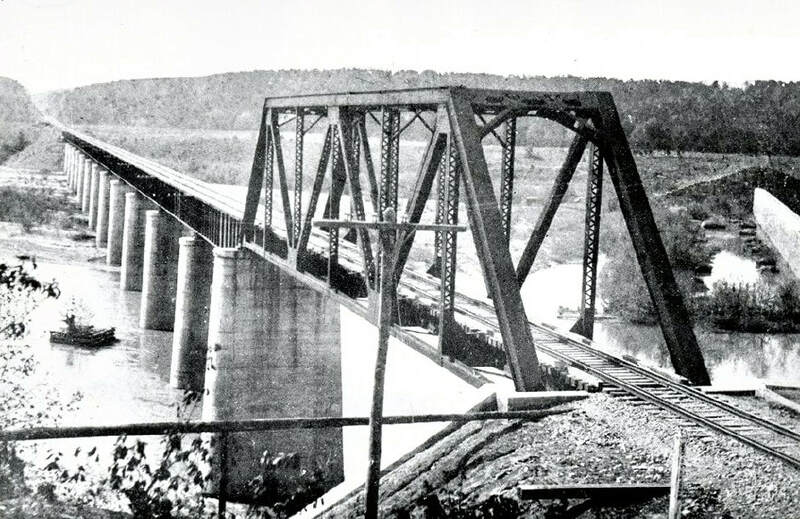 The marriage of the ACL and the N&W was unique for three reasons: (1) a partnership of two railroads with distinctly different cultures (2) it enabled both to make inroads into territory commanded by the Southern Railway and more importantly, (3) the WSSB would form a bridge route connecting the southern Atlantic coast with Appalachia. In effect, it was not dissimilar to another railroad in western North Carolina—the Clinchfield Railroad—which functioned as a bridge route between the Seaboard Air Line and C&O Railway. 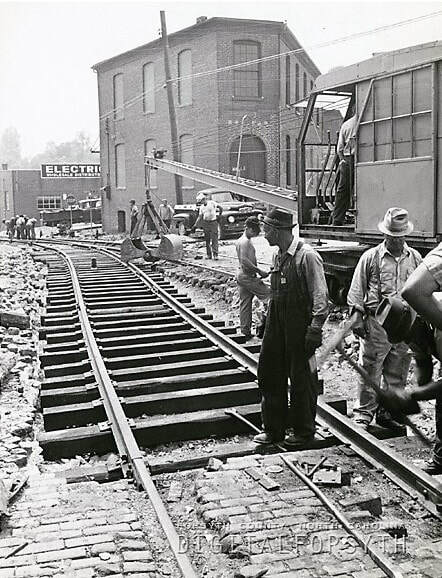 Actual construction of the railroad began in August 1909 and was entirely overseen by the N&W. It was a project on a grand scale to complete the building of the 90 mile railroad in the most expedient manner possible. To accomplish it, multiple contractors were hired and dispersed the length of the line at great expense---they completed the task in the remarkable time span of 15 months. On November 23, 1910, the “golden” spike was driven punctuating a finished railroad from Winston Salem to Wadesboro. For the first two years of operation, the WSSB was supervised exclusively by the ACL. By virtue of the joint ownership, the WSSB was granted access at the railroad endpoints to ACL and N&W facilities. 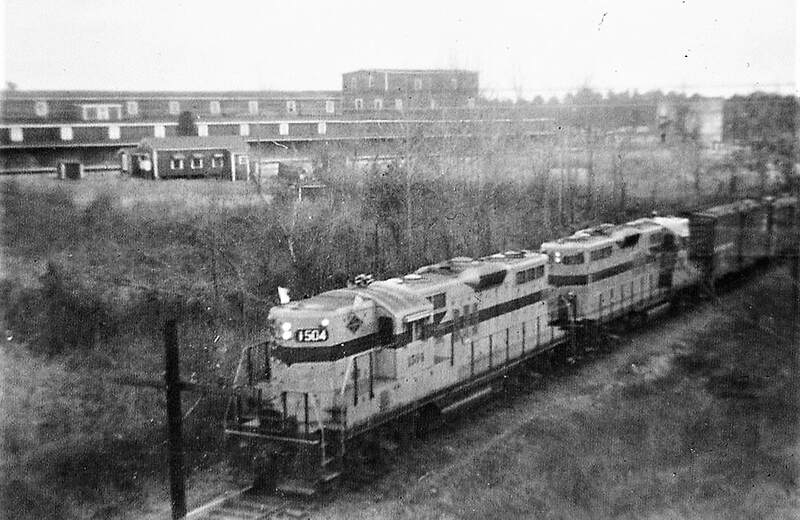 At Winston Salem, it had use of N&W stations, yard tracks, team tracks and other facilities within the Winston Salem yard limits. In addition at Winston Salem, the railroad was granted rights on the Southern Railway for the passenger (union) station, yard tower, and selected tracks. 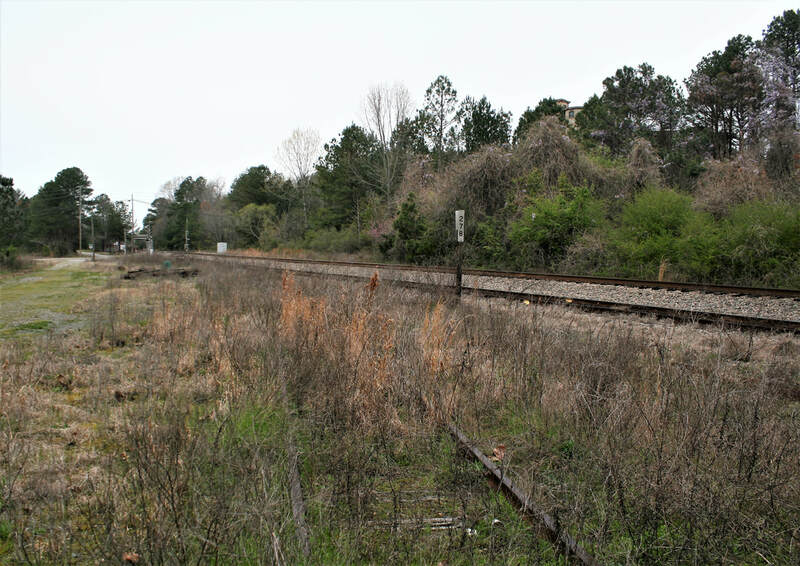 On the south end of the WSSB at Wadesboro, the railroad had access to stations, yard tracks, and other facilities owned by the ACL. Passenger service on the WSSB was inaugurated the day after its official completion—the first run over the line was pulled by N&W class O-6 4-4-0 #519 with a single coach. It departed Winston Salem at 12:35 PM and arrived at Wadesboro six and a half hours later. Regular service began between Winston Salem and Whitney on December 17; on February 13, 1911 Winston Salem and Albemarle; regular service between Winston Salem and Wadesboro commenced on March 3. 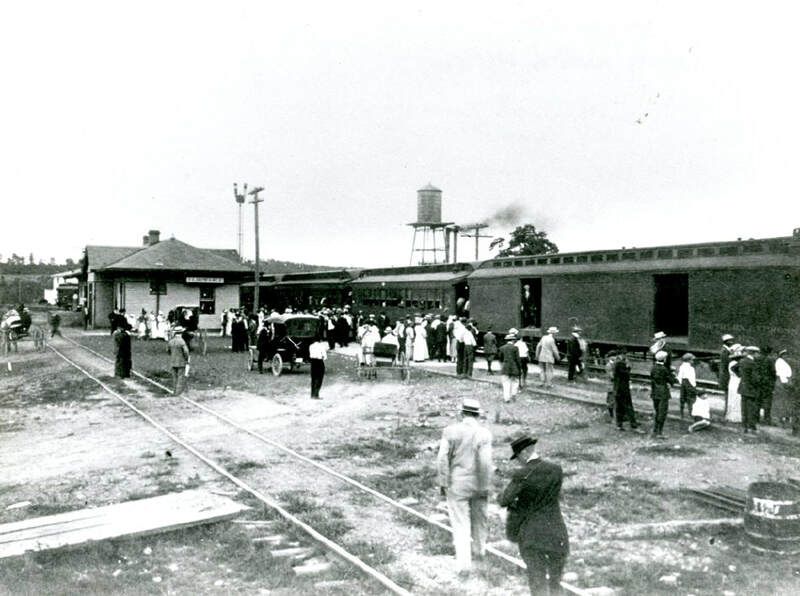 The first run through passenger service was initiated on May 1, 1911 between Winston Salem and Florence, SC. When the train stopped at Wadesboro, ACL power took over for the remainder of the trip to Florence via Cheraw, SC. The completion of the Winston Salem Southbound Railway coincided with the peak decade of passenger rail travel in America; hence, it capitalized immediately at its zenith. The WSSB, by sheer nature of its location, was hindered in respect to expansion. 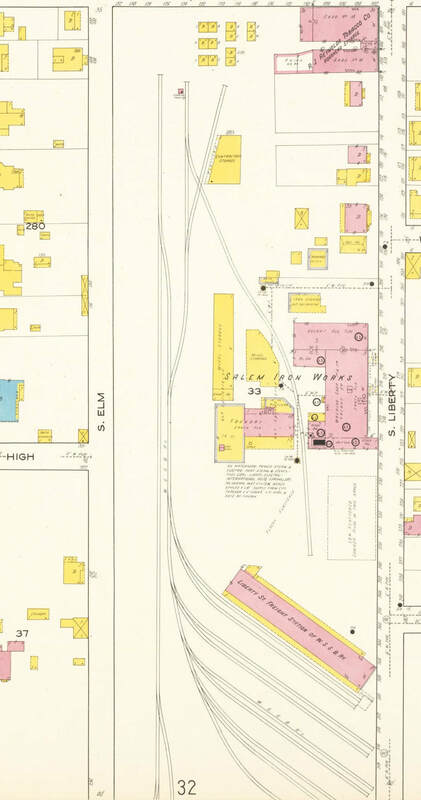 One significant development, however, occurred in 1912 when the company constructed the Tar Branch extending from South Winston Salem into the inner city terminating at its Liberty Street freight station. Extending for 2.3 miles, this branch tapped into the industrial district of the city serving line side shippers and culminating with the high volume—and impressive—freight station. Another acquisition of sorts occurred to the south with the construction of the Narrows Dam and ALCOA aluminum plant at Badin in 1916. 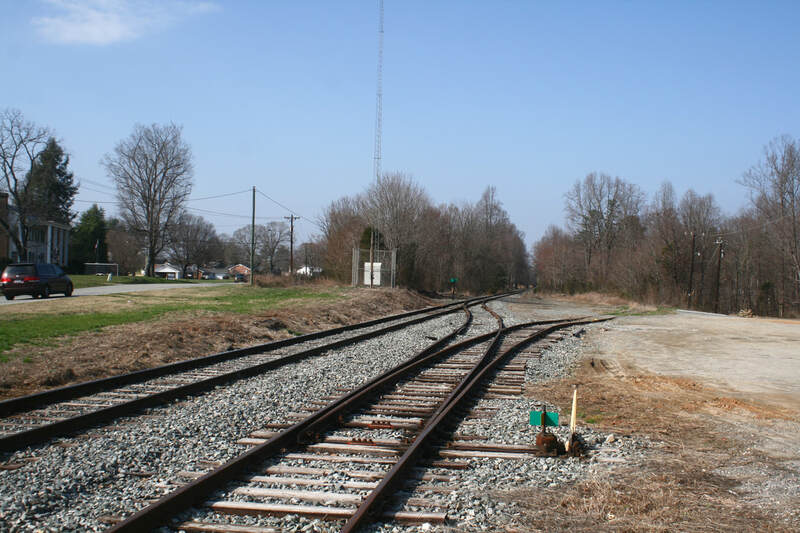 Track was constructed from Badin to Whitney at the junction of the WSSB as well as extending to Halls Ferry on the Yadkin Railroad (Southern). Neither railroad owned this line; rather, both used lease rights to serve the aluminum plant and the passenger base at Badin. 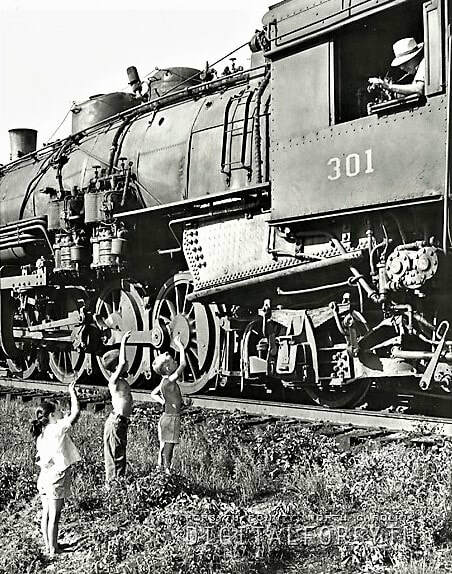 Although the passenger trains would be discontinued during the Great Depression, ALCOA provided the WSSB with traffic lasting into the new century. By mid-1915, the WSSB listed the following among its controlled assets: 89.9 miles of primary main track; 3.02 miles of second main track (all at Winston Salem); yard track and sidings totaling 20.07 miles. Equipment included 8 steam locomotives, 7 passenger cars, and a total of 192 revenue freight cars. Other equipment assets consisted of 20 work train cars, two air dump cars and a single ditcher and spreader. The period of passenger rail on the Winston Salem Southbound was brief. At the time of its construction, passenger rail was nearing its peak volume in the United States peaking in 1917. As highways were built and existing ones improved, automobiles began eroding the passenger base by the 1920s and patronage steadily declined with branch lines and secondary routes (such as the WSSB) impacted first and hardest. By 1933, it was no longer profitable to operate passenger trains on the WSSB and the service was abolished. The life span of travel by rail on the WSSB lasted little more than 20 years. In March 1948, a Committee on the Restoration of Historic Salem requested of the WSSB to begin using diesel locomotives to operate on the Tar Branch. The reasoning was that the soot from steam locomotives that accumulated on buildings was detrimental to restoration efforts. A resolution for this action was approved in April of that year but either it was not enacted or perhaps retracted since the WSSB continued operating steam power until its end on the Tar Branch. Throughout its history, the WSSB used second hand power---all but one class--- from the parent roads ACL and N&W that was incorporated onto its own roster. 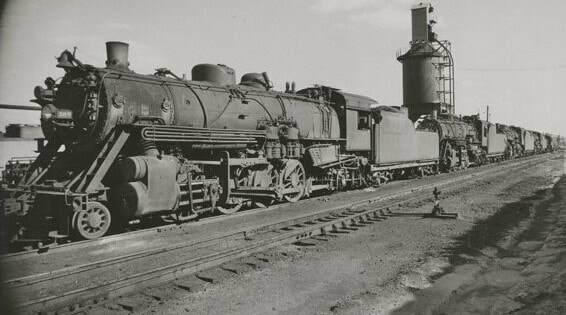 The locomotive types ranged from common 4-6-0 Ten-Wheelers and 2-8-2 Mikados to a single 2-6-6-2 and purchased new "Mastodon" class 4-8-0s . Steam remained on the WSSB until 1957--chiefly due to the adherence of the N&W to this type of power as the last Class I railroad to completely convert to diesels. 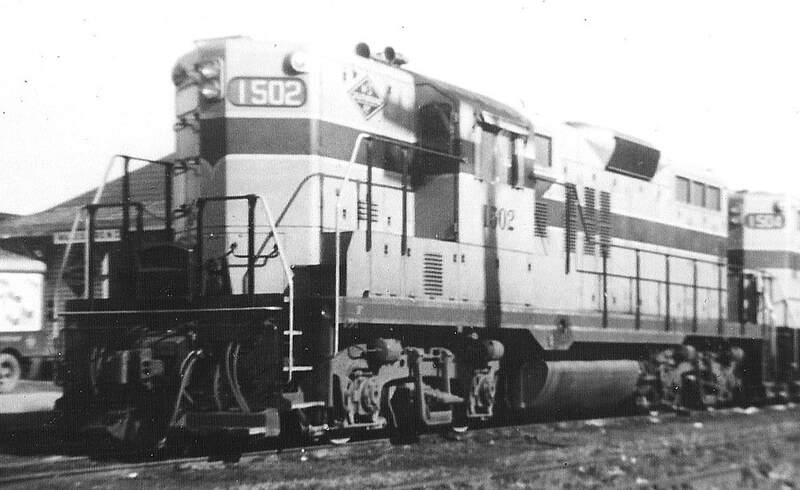 Once the fires were extinguished on the last WSSB steam locomotives, the road acquired four new EMD GP9s in 1957 that were painted and lettered for the railroad. This proved to be short lived (1963) because of the need and expense of maintaining service facilities and as a result, the WSSB began to operate using ACL and N&W power over its route. This practice continued through the series of subsequent mergers and exists today with both CSX and NS locomotives--as well as occasional foreign road power---sharing the duties on WSSB trains. 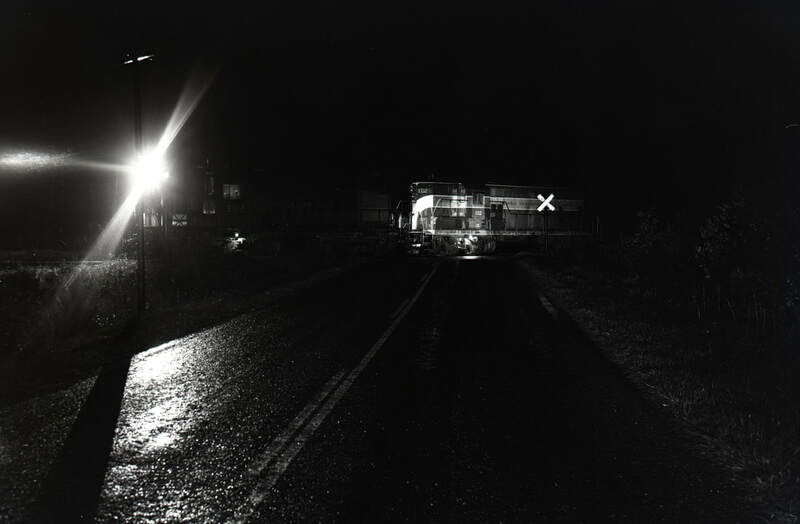 The year 1960 saw the WSSB acquire control of the High Point, Thomasville and Denton Railroad (HPT&D) of which it shared an interchange at High Rock. The railroad continued to operate under the HPT&D name although operations between the two became more integrated. In 2017, the railroad was merged into the WSSB. From 1910 to 1967, the WSSB was parented by the longstanding partnership of the Norfolk and Western and the Atlantic Coast Line. In the 20 years post-dating 1967, the cast of companies involved in the joint operation of the WSSB changed several times and in particular, on the ACL successor side. The first transformation to occur was caused by the merger of the Atlantic Coast Line and the Seaboard Air Line in 1967 creating the Seaboard Coast Line (SCL). 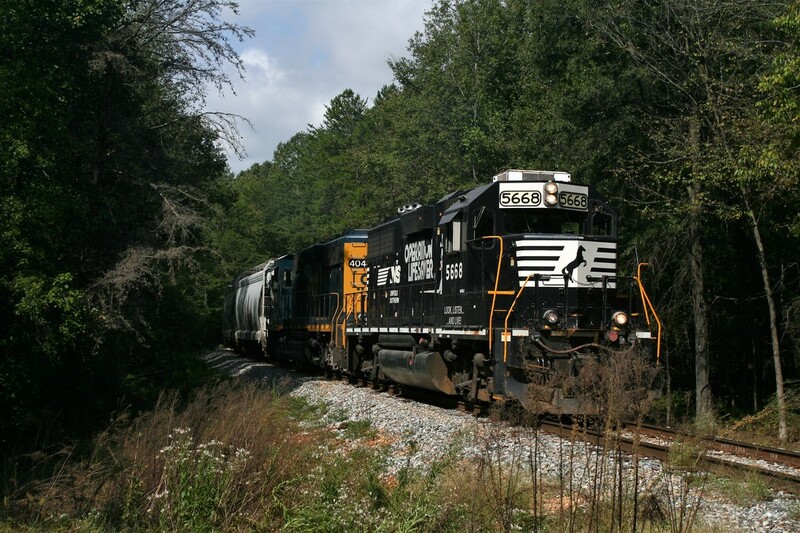 The SCL (and the Family Lines System through additional affiliations) operated as a partner with the N&W until 1982 when the merger of the Southern and the N&W formed Norfolk Southern (NS). The following year another corporate marriage transpired with the creation of the Seaboard System which was an official merger of the Seaboard Coast Line and the Family Lines Railroads. From 1983 to 1986, this corporation shared joint ownership of the WSSB with the NS until the operational formation of CSX Transportation. Now more than three decades later, CSXT and NS continue with joint ownership of the WSSB. 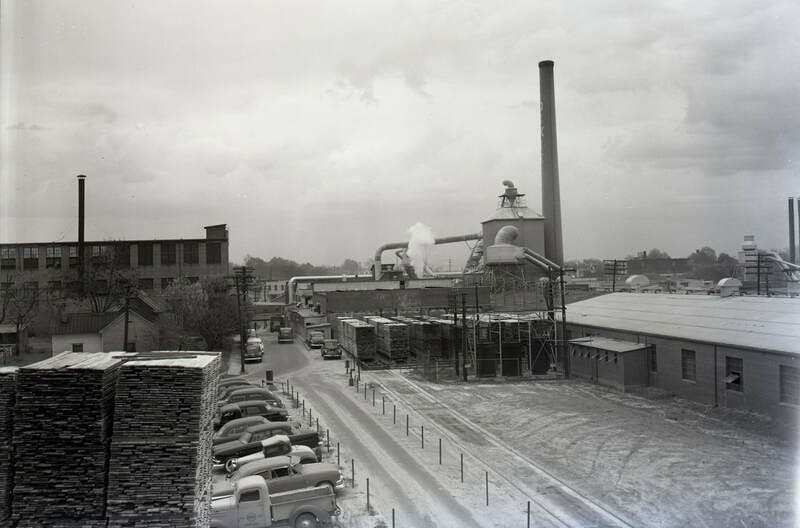 The industrial history of Winston Salem is stamped in modern culture as a center of tobacco but that label was preceded by an early diversity. Long before the RJ Reynolds Tobacco Company built what became an international empire the two separate towns of Winston and Salem established their own identities and commerce on a more humble scale. Early industries consisted of feed mills, iron works, wagon manufacturing, and those related to agriculture among others. 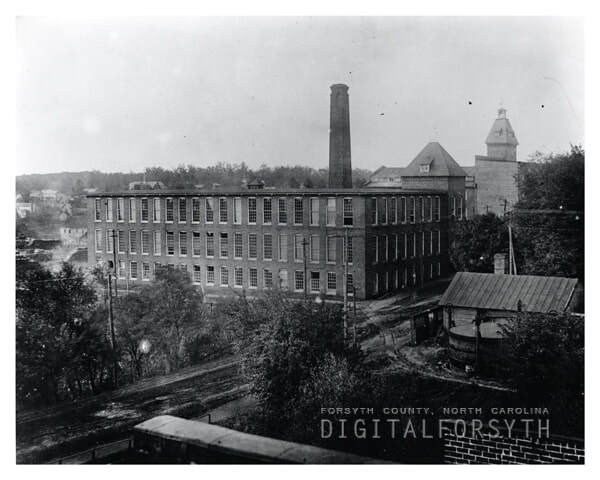 Larger industry quickly followed with the building of textile mills and ultimately, the defining industry of Winston Salem, the tobacco business. First to arrive in the area was the Richmond and Danville Railway which was the predecessor to the Southern Railway. Its rails reached Winston Salem in 1873 and the two towns were immersed in excitement as excursions operated later that year to help promote the region. Nearly two decades later, in 1891, the Roanoke and Southern Railway completed a line from Winston Salem to Martinsville and by the following year, extended to Roanoke. That same year the line was leased and integrated into the Norfolk and Western Railway system. 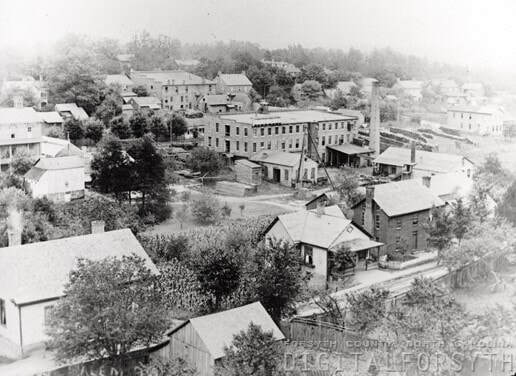 The arrival of both railroads opened up the area to rapid population growth and industrial development during the Industrial Revolution era and by 1920, Winston Salem was the most populated city in North Carolina. The city thrived as a commercial and industrial region throughout the bulk of the 20th century until changing economic factors and behavioral habits created the harbinger of traditional industrial decline by the late 1900s. It was a scene repeated all across the United States created by competition from foreign imports and technological developments. Not unlike other urban centers across America, Winston Salem has seen its industrial base transform over the past decades. The once powerful tobacco presence and the textile mills have faded into the catacombs of history replaced by specialized modern industry and services less dependent on the railroad. Steel wheels on steel rails still factor into the modern economy but gone are the days of the impressive South Winston Salem yards filled with cars for RJ Reynolds and the traditional heavier industries of the past. 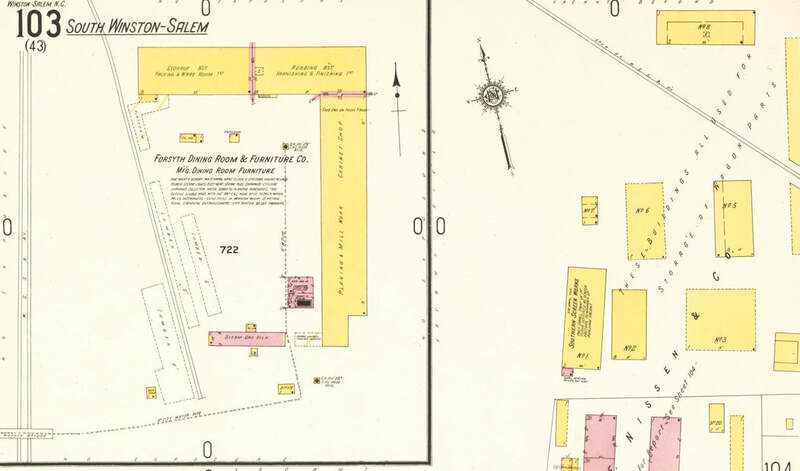 1917 Sanborn map depicting the Southern and N&W yards in full glory. The lead from the N&W yard crosses the Southern on a diamond marking the beginning of the WSSB. When construction of the Winston Salem Southbound Railway commenced in 1910, the Southern and Norfolk and Western were well established in Winston Salem. The Southern had entered the blossoming cities--then the separate towns of Winston and Salem---with a northwest route from Greensboro that continued to North Wilkesboro and by acquisition, another branch to Mount Airy. 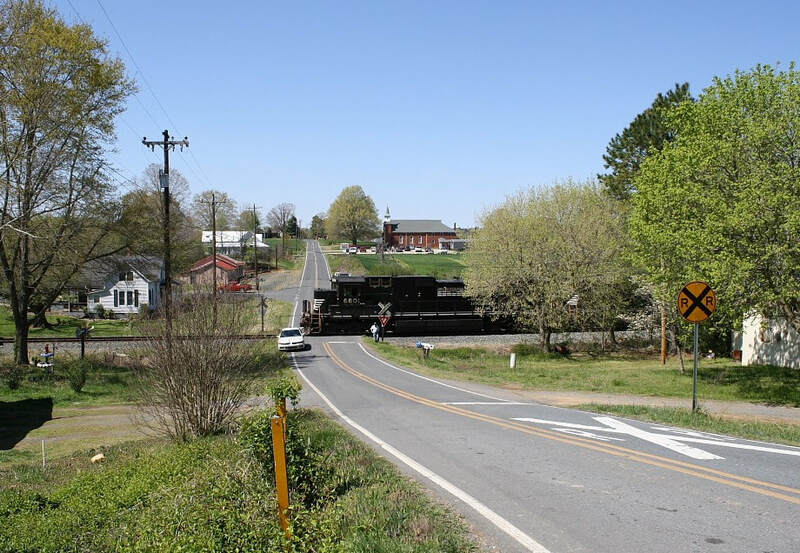 (More can be read about these routes on the WVNC Rails piece Yadkin Valley Railroad) At the north side the N&W entered the region with its extension from Roanoke, VA as it terminated at what would become the south end of the city. What the WSSB was intended to fulfill was the creation of a railroad extending due south not only to establish a southern connection but to serve developing industry in the central Piedmont region as well. 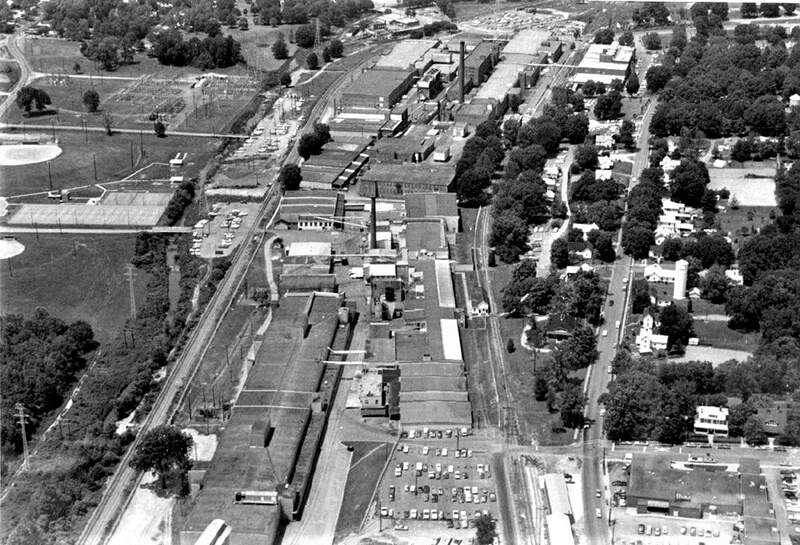 For almost its first twenty years of existence, the WSSB utilized the N&W yard at South Winston Salem. 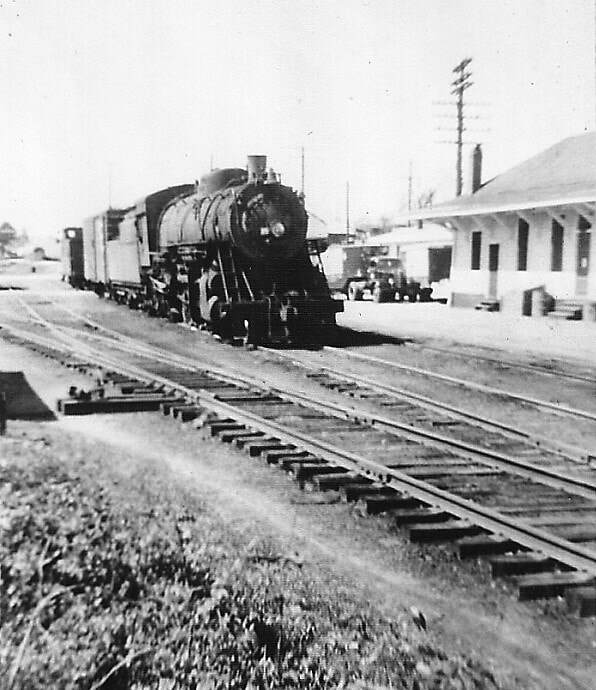 In the late 1920s, the N&W constructed a new yard at North Winston and both it and the WSSB operations shifted there. To this day, the WSSB today delivers/receives trains to/from North Winston over the NS K Line via trackage rights. 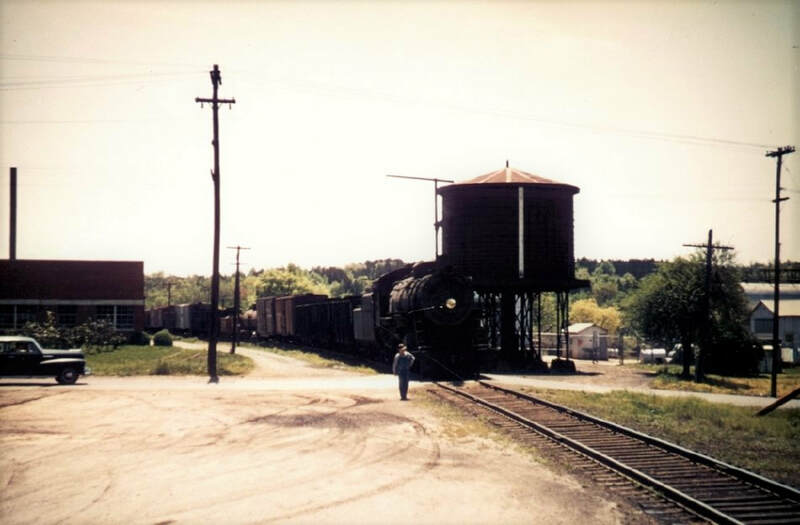 The yard is unique in that three railroads access it—NS, the WSSB, and the Yadkin Valley Railroad. The N&W and Southern yards circa 1930s. Winston Salem boomed with industry and rail traffic until the late 20th century. Image Digital Forsyth. The south lead of the N&W South Winston Salem yard lead was a double track arrangement that crossed the Southern Railway on a double diamond. On this section began the Winston Salem Southbound Railway and the line continued south as it crossed the 691 foot deck plate girder bridge spanning Salem Creek. Beyond this point the double track main continued to the junction of the Tar Branch. Early shippers in the area included the George E. Nissen Company and the Forsyth Dining Room and Furniture Company. 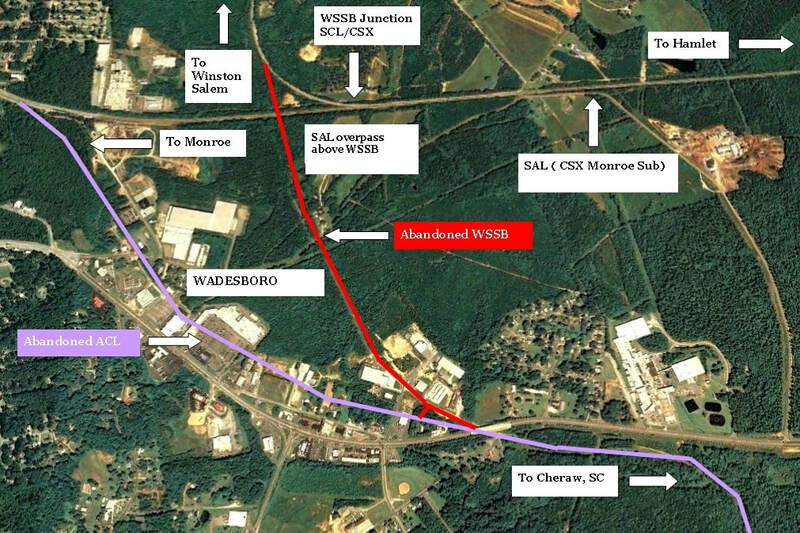 Map outline of the WSSB branch that extended to the east in South Winston Salem. Referred to as the "Nissen" branch or spur, it was originally built to serve the Nissen Wagon Works during the early years of the WSSB. A short rebuilt section still survives today. Modern times have witnessed a reconfiguration of the trackage in this area. WSSB junction is now a connection to the NS K line and a new bridge and alignment span Reese Parkway. But the railroad still passes through the old industrial district by old shippers of yesteryear. A remnant of a branch is still intact that served the east side of South Winston Salem in what is known as the Waughtown district. This spur was originally built to serve the Nissen Wagon Works during the early history of the railroad but in subsequent years, other businesses located along this branch also. Throughout the years the line did not have an official name but was simply known as the Nissen spur. From looking at historical aerials, it appears most shippers had disappeared from this branch by the 1970s and the line subsequently stub ended at present day Martin Luther King, Jr Drive. Today this remaining segment--since reconstructed-- is used as additional car storage for the large shipper Ingredion located a couple of miles south. 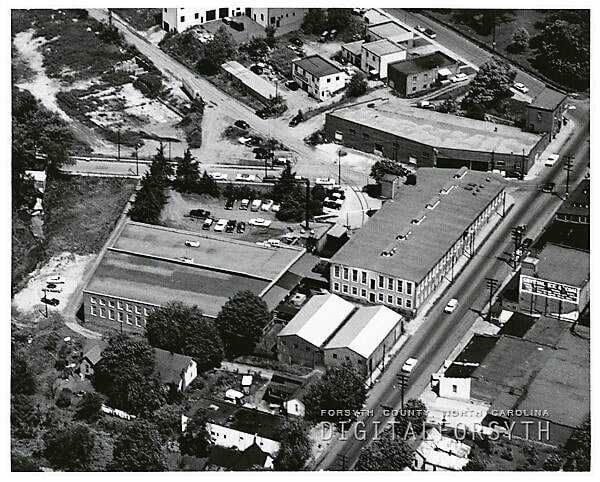 Among the shippers located in South Winston Salem between WSSB junction and the Tar Branch were the George E. Nissen Company and the Forsyth Dining Room and Furniture Company. Wagon manufacturers were in their twilight as automobiles and trucks would soon render them obsolete. Winston Salem was also located in the "furniture belt" region of North Carolina. The junction of the Tar Branch and the WSSB main in South Winston Salem. J.C Spach Wagon Company was located here and the first shipper located on the branch. Perhaps the most interesting aspect of the Winston Salem Southbound Railway--certainly during the early years--was the operation on the Tar Branch. 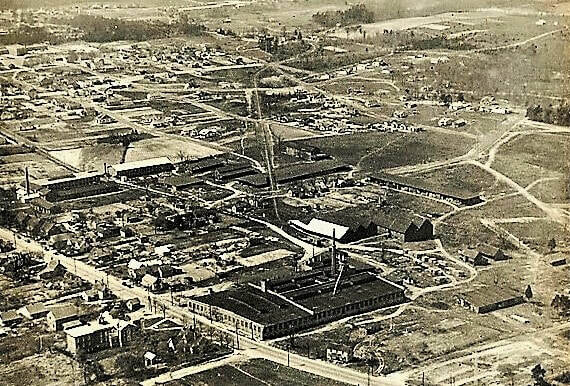 Taking advantage of the opportunity to serve the industrial enclave of old Salem (Winston and Salem would combine in 1913), the WSSB began construction of a 2.3 mile extension into the heart of this region during 1912 with the intention of serving the various industries in the district. 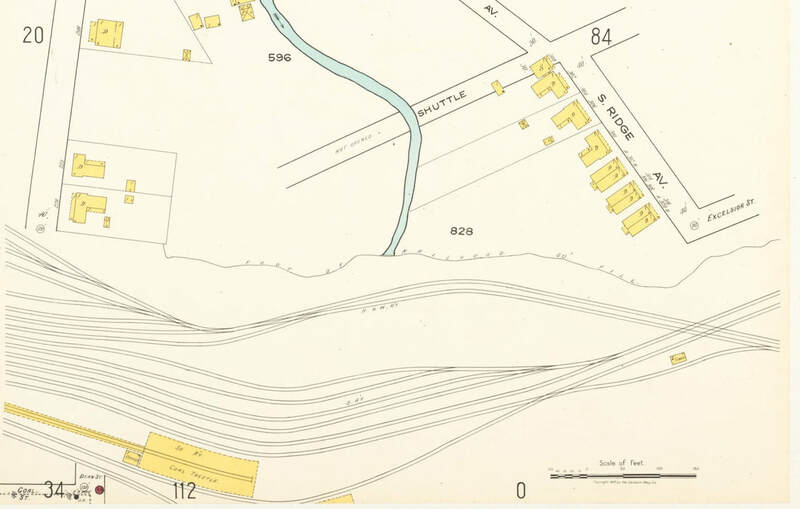 The end of the Tar Branch culminated with the Salem Iron Works and the Liberty Street freight station. Track configurations of the inner city were uniquely intricate often as a result of tight space. Wachovia and Branch Streets hosted track in the pavement. The Maline Mills (later Indera Mills) was served from this pocket spur. Arista Mills and the Crystal Ice Company were notable shippers along the Tar Branch. A spur diverging from the main stem became street trackage on Shallowford and Wachovia Streets. Aerial view of the south end of Winston Salem outlining the general route of the Tar Branch in red. Other locations labeled for reference. 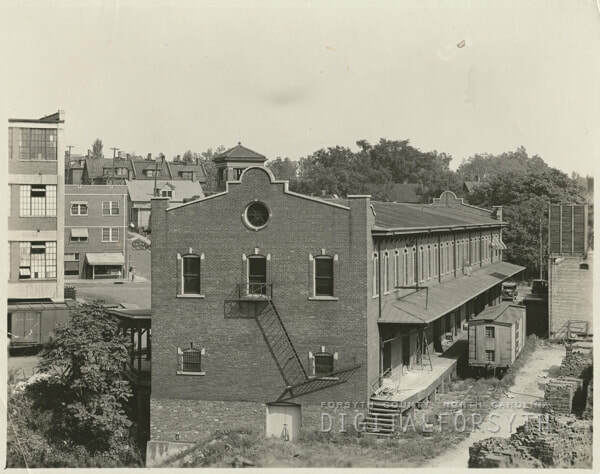 The origins of the Tar Branch began in November 1911 when the Commissioners of Salem held a public meeting to decide upon granting the Winston Salem Southbound Railway a franchise to operate within the city district. In a near unanimous decision by both the public and area business owners, the railroad was approved to construct through the urban reaches of Salem to serve the area. 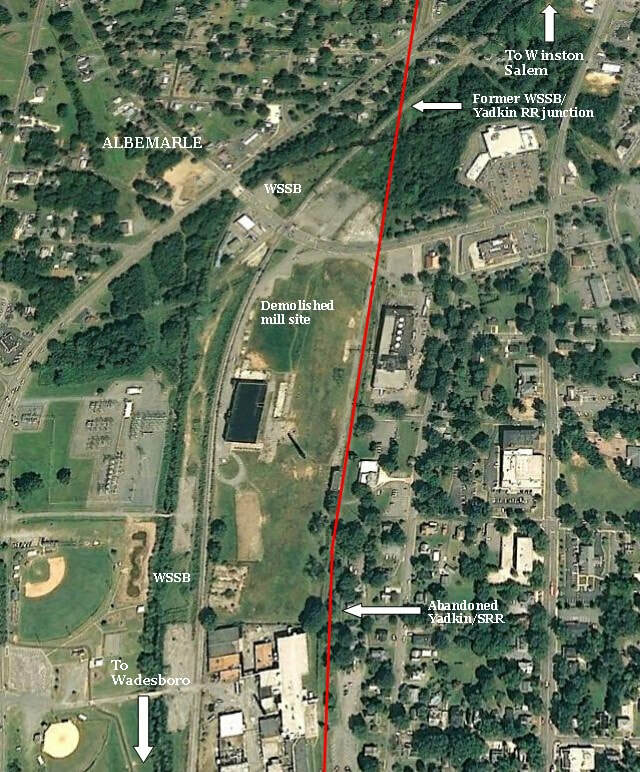 The resolution stated that "to construct a line of railway into the town of Salem entering the corporate limits of said town of Salem at the south end crossing Main Street at grade at a point on the said street south of Mill Street, and to extend said line up Tar Branch through the town, said line crossing the following Streets: Mill, Walnut, West, Academy, Bank, and Shallowford Streets, with the further permission to construct, maintain and operate depots and terminal facilities near the Salem Iron Works." A stipulation was included that the construction be completed no later than May 1913. 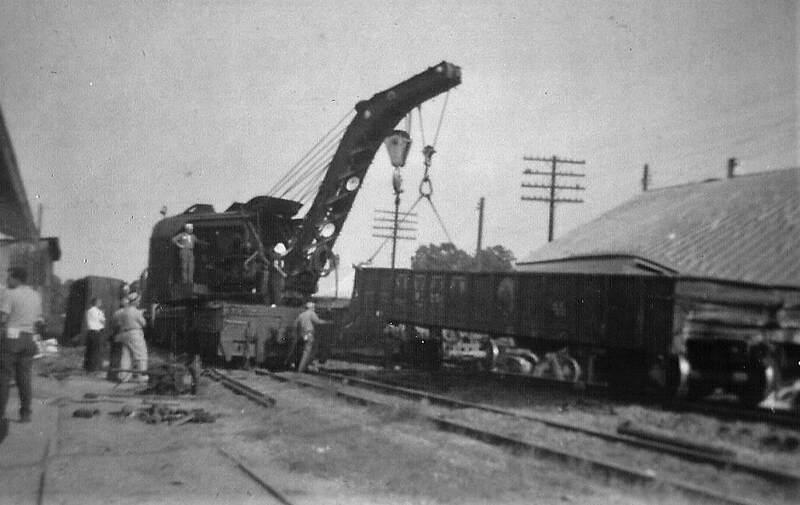 Once completed, the Tar Branch connected shippers in Salem (Winston Salem in 1913 forward) with the rail network further expanding commerce in the district. A listing of shippers located along the line during its early years includes the Red Oil Manufacturing Company, J.R Thomas Company, Southern Public Utilities Company, Floor and Feed Warehouse, South Side Fuel Company, South Side Roller Mills, C.M Thomas and Company, J.C Spach Wagon Company and the Crystal Ice Company. 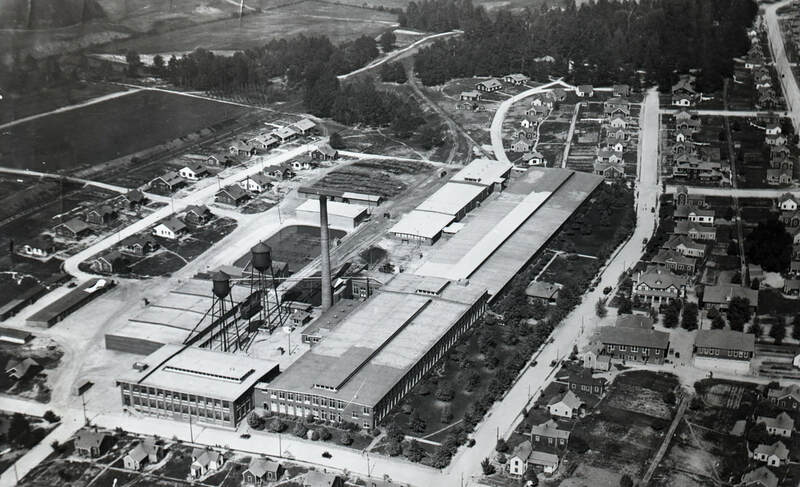 Larger shippers included Maline Mills, Arista Mills, South Side Lumber Company and the Salem Iron Works. The WSSB Liberty Street freight station served a broad range of companies as well. 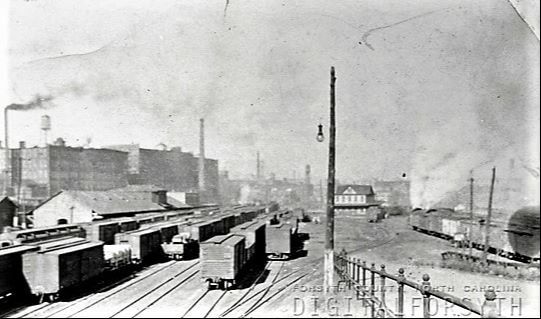 1913 WSSB Liberty Street freight station during its infancy. 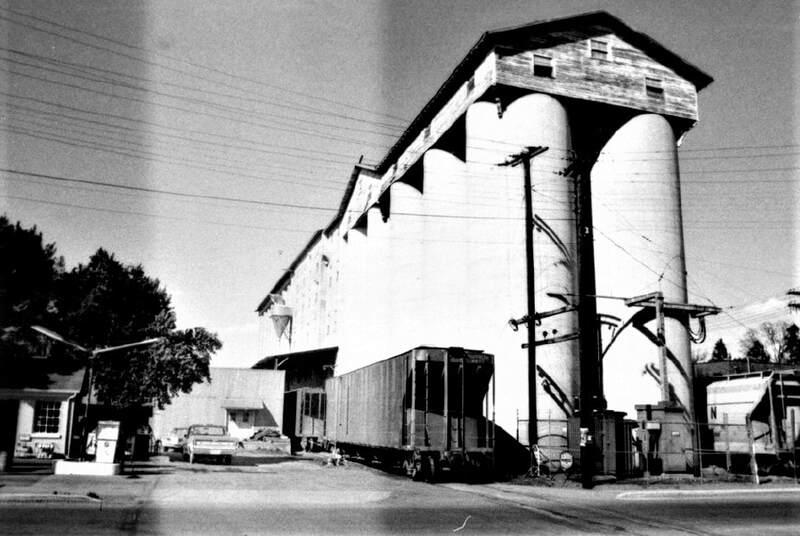 This structure not only served as a freight distribution terminal but also housed the WSSB administrative offices on its second floor until 1985. Image Digital Forsyth. Throughout its active life the Tar Branch fulfilled its purpose of serving businesses within the old Salem district of the city. The earliest shippers disappeared over the course of time either by obsolescence or by acquisition by another firm. In addition, new shippers emerged along its rails and established service for varying lengths of time. But by the 1950s, the winds of change were stirring in regards to transportation and economic shifts. 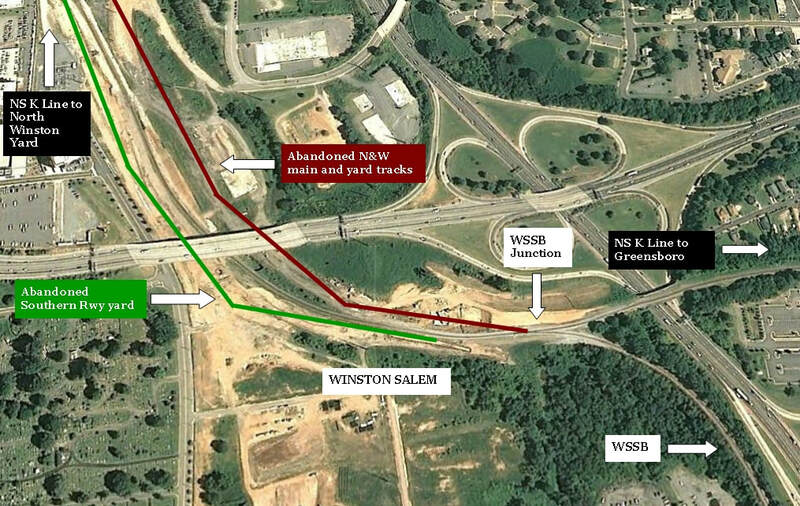 In an ironic twist, the railroads were bitten by the hands they fed--the WSSB via the Tar Branch supplied material to construct Interstate 40 through Winston Salem that soon would carry trucks tapping into its business. The shippers themselves migrated from the inner cities to outlying areas now served by the trucking industry on the rapidly developing Interstate highway system. It was a situation emerging across the country. As for the Tar Branch itself, it continued to serve at least a few shippers along its route into the 1970s and it appears the line was abandoned piecemeal as shippers disappeared. 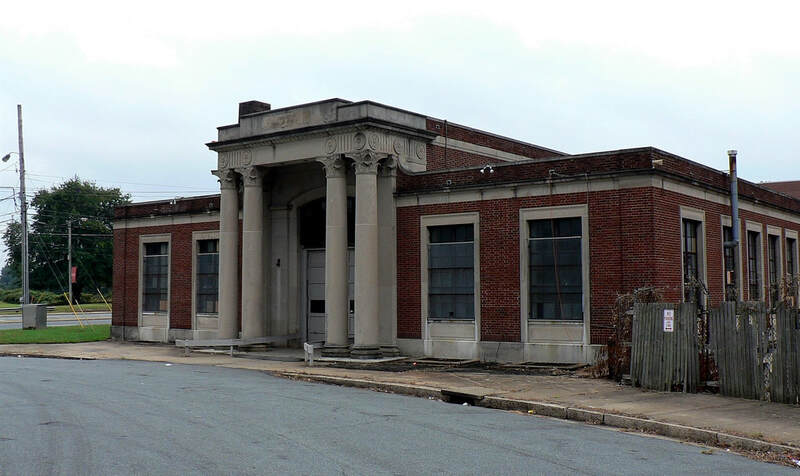 In 1985, the Winston Salem Southbound Railway vacated its 72 year administrative occupancy of the Liberty Street Station and subsequently sold the building. Today the Tar Branch is gone but evidence of its existence remains with traces of its right of way and conversion to walking trails. No doubt its street trackage rails are buried beneath additional layers of asphalt as well. Of course, the renovated Liberty Street station--listed on the Historical Register as protected-- will stand as a sentinel to its one time existence. Google Earth view of the southern fringe of Winston Salem along the WSSB. This area includes the largest shipper on the railroad, Ingredion, as well as WSSB office. Also visible is the impressive steel bridge that spans the South Fork of Muddy Creek. The region along the main line south of the Nissen and Tar Branch junctions is populated with mostly former shippers in this old industrial district. A passing siding is located here in addition to old rusting spurs that exist as reminders to shippers of the past such as Salem Steel Works and East Penn Manufacturing—or businesses that previously or have since occupied such properties. There are a few companies that survive for the WSSB of today as well in this section. As the railroad moves beyond here, the setting transforms briefly from industrial to residential until it emerges within an area that has been developed industrially in more modern times. Noteworthy here is the Ingredion plant that in terms of sheer volume, is the largest shipper on the present day WSSB. It is an international firm that manufactures corn syrup, sweeteners, and other bio-food related products. Adjacent to this large complex is a spur that serves the building occupied by INX International Ink. Directly across from these two industries is the combined office for the Winston Salem Southbound Railway and High Point, Thomasville, and Denton Railroad operations. Once the railroad passes beyond the Ingredion industrial pocket, it crosses the South Fork of Muddy Creek on an 873 foot girder plate deck bridge. On the south bank of the creek begin the yard leads to Bill Yard used by the WSSB for storage and classification. The original purpose of Bill Yard—constructed in 1969---was for car storage to serve the Schlitz brewery that opened in 1970. Strohs Brewing Company purchased the Schlitz Brewing Company in 1982 and subsequently operated the brewery until closing it in 1999. Bill Yard switched to functioning as a general classification location afterward. South of the yard, the railroad spans Soakas Creek on a 787 foot deck plate girder bridge then passes through a rural section spotted with residences until reaching Eller (Midway). As the first timetable location south of Winston Salem, the town of Eller was a small farming community in southern Forsyth County. The passage of time appears to have obscured this location although it remains as a place name for the WSSB. Maps predating the 1960s list Eller in addition to Midway to its south; modern maps omit Eller and include its area as part of Midway. It has long been the location of a passing siding on the railroad. The town of Midway was so named because it marked the “midway” point between Winston Salem and Lexington. 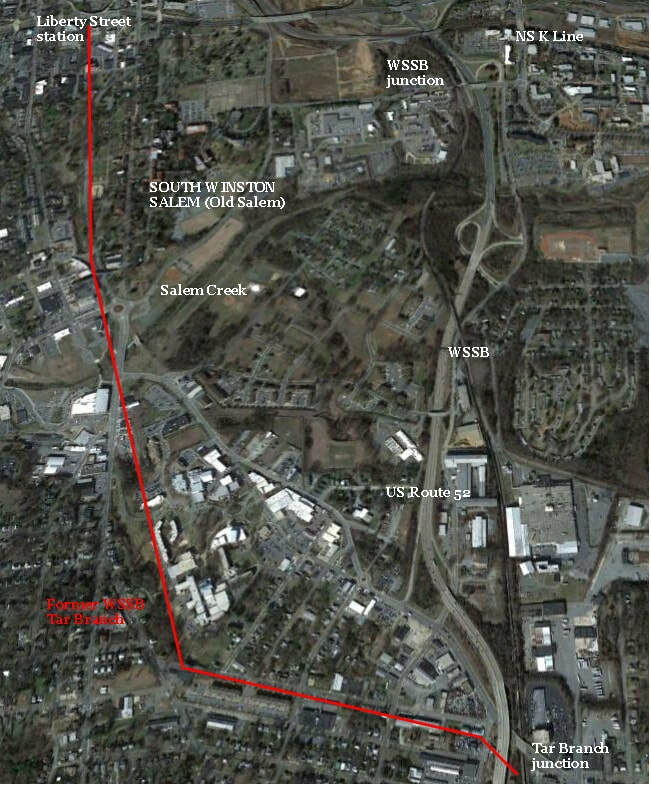 However, urban sprawl southward from Winston Salem during the intervening years has moved its limit boundary next to that of Midway whereas it remains approximately seven miles from Lexington. There is little early reference to Midway because during the spawning years of the WSSB, the area was known as the timetable and station location of Eller. As the community developed in more modern times, Eller was effectively absorbed by the expanding Midway and the township now known by that name. It was incorporated in 2006. O-I (Owens-Illinois, Inc.) is a large shipper located on the WSSB here specializing in the manufacture of glass bottles. The community of Welcome has its roots----as with most along the WSSB—as an agrarian region. Time tested rumor states that the town received its name from a debate in which a statement was spoken alluding to “everyone is welcome”. The name obviously stuck. A principle crop in its early history was cereal grains and was also a noted location for livestock. Its early industrial history along the WSSB included saw mills and spoke and handle factory. Modern times have witnessed the growth of the area partly due in fact to expansion of the Winston Salem metro area. 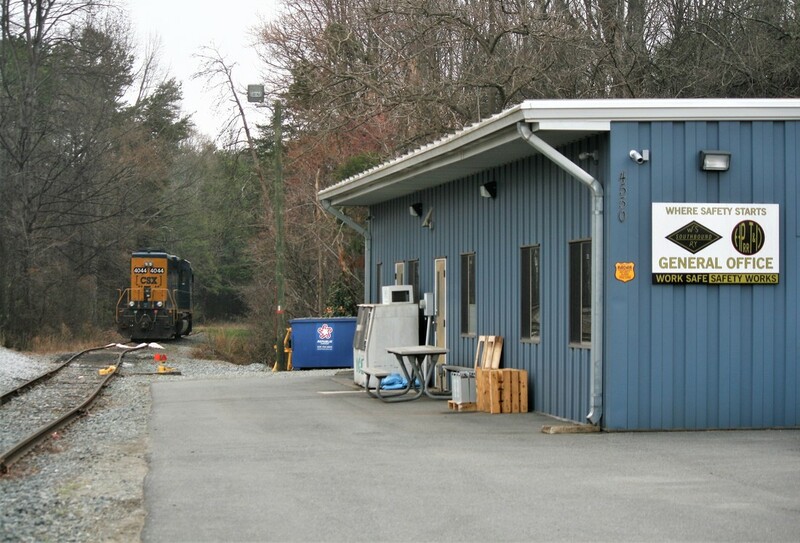 Present day rail shippers here include Aurora Plastics and Carolane Propane of which the latter is at Bethesda near the north side of Lexington. As the first major location on the WSSB south of Winston Salem, Lexington factored prominently during the early history. 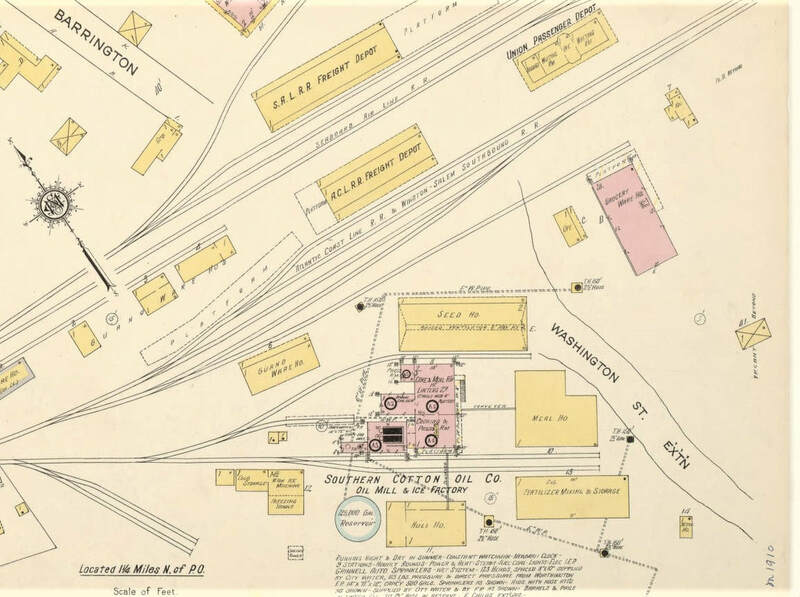 Already long established along the Southern Railway Washington-Atlanta main line, industry was prevalent in the city primarily in the textile and furniture businesses. 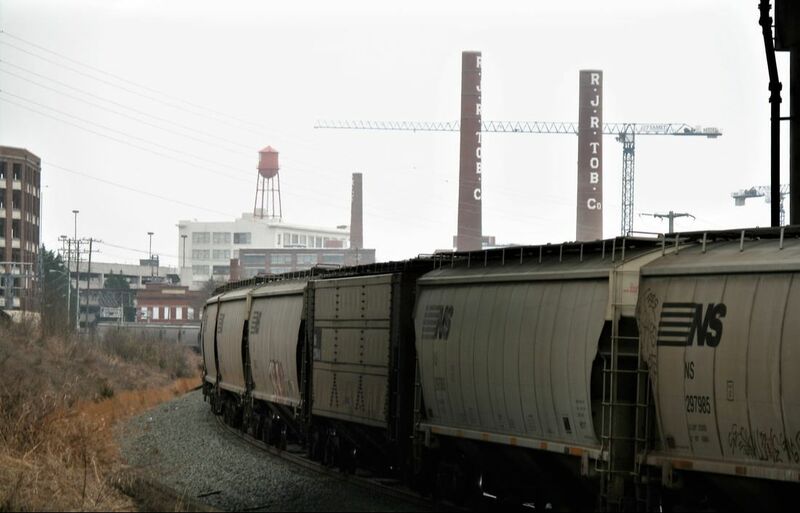 The Winston Salem Southbound Railway, with its arrival to the Davidson County seat of government, set sights on promoting industrial growth on its own accord in addition to serving the longstanding shippers via interchange with the Southern. It would also provide alternate destinations and routings for passenger travel particularly in the north-south directions. Lexington was a large source of rail patrons on the WSSB due to its population and connection with the Southern Railway. In a 1917 prospectus, a Norfolk and Western Railway listing---by its interest in the WSSB---extolled the economic potential of the Lexington area. In an effort to further attract rail shippers, the N&W stated that the region was “a good general farming community”. Other amenities listed were the water quality, school systems, and a strong substructure as in retail business and multiple church denominations. Already established industries included four cotton mills, seven furniture factories, a saw mill, two flour mills, brickyard, and a mattress factory. Other shippers included a creamery and specialty businesses intertwined with the furniture industry. 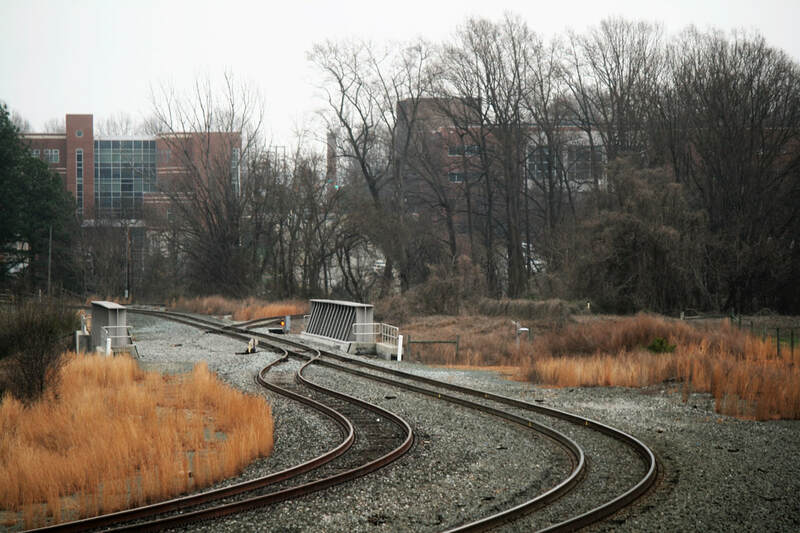 Lexington would continue to develop and become one of four primary points along the Winston Salem Southbound Railway. The listing of early rail shippers entails the specific businesses listed in the heretofore mentioned paragraph. Among these many active shippers served directly or via interchange were the Lexington Brick Company, Lexington Chair Company, Lexington Ice Company, Dakotah Manufacturing Company, Erlanger Mills, Nokomis Mills, and Wennonah Mills. A further listing includes the Lexington Creamery, Southern Power Company, Grimes Milling Company, Lexington Mills, Lexington Mattress Company, Davidson Mirror Company, and the Lexington Mirror Company. Completing the list is the Lexington Pants Manufacturing Company, Dixie Furniture, Elk Furniture Company, Lexington Grocery Company, and the Lexington Veneer Company. The total number of shippers served at Lexington was second only to Winston Salem by the WSSB along its route. Contemporary shippers along the line at Lexington have or do include(d) Rock-Tenn, Nippon Electric Glass, and Air Products and Chemicals. Erlanger Cotton Mills was the foremost shipper along WSSB rails at Lexington for many years. 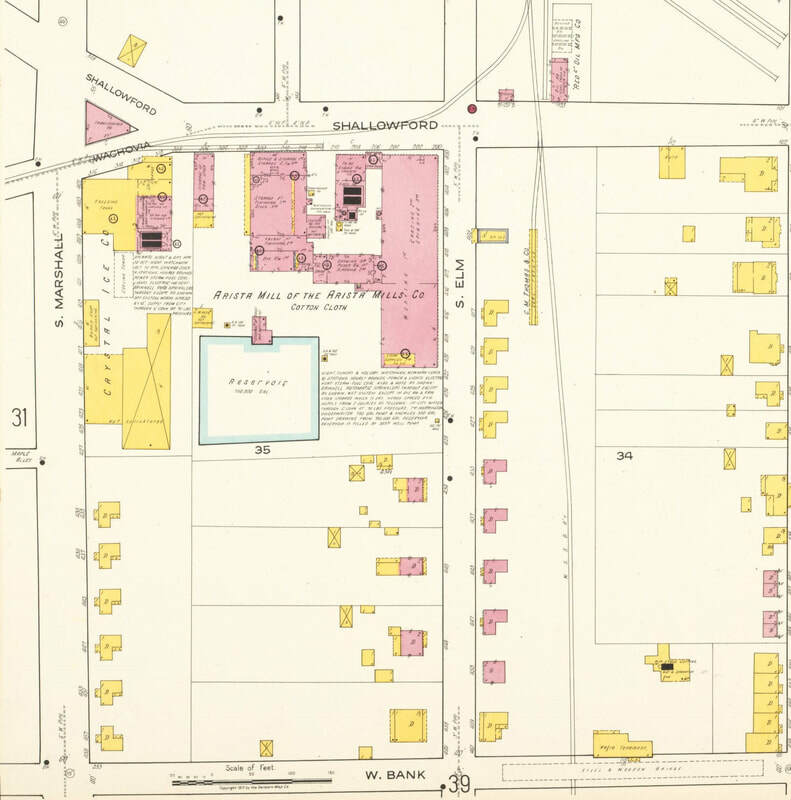 Modern in the context of its time and at its peak, served by four spurs as indicated on this 1917 Sanborn map. The building survives today although long removed from its productive heyday. Perhaps the crown jewel of early shippers along the WSSB at Lexington was Erlanger Mills. Built in 1913, it was revolutionary in its concept of constructing a relatively self- sufficient community surrounding the plant that included a residential district and basic amenities. In short, it was a mini town within Lexington. At its peak, the mill was served by four individual spurs stemming from one that connected to the WSSB main. Today the building survives under the ownership of Parkdale Mills but rail service is long a memory. Traces of the old industrial district of north Lexington remain as there is evidence of earlier spurs that once served buildings that still exist. An old passing/ runaround track remains where the depot once stood and in the area of present day Johnson Concrete. The WSSB passes beneath the Southern Railway (NS) main line, South Main Street, and the bridge for the spur to the long vanquished Dacotah Mills which are on three adjacent bridges. To the south of this point is the interchange track connecting the WSSB with the Southern main. This track is on a steep grade as the two railroads are at different levels here. To the south of Lexington are the two small communities of Cotton Grove and Feezor. During the early history of the railroad, this region was heavily forested and remained predominately rural. Growth here is the result of southward expansion from Lexington and development that has occurred throughout the years from its proximity to High Rock Lake. Of railroad significance in this sector is the location of a passing siding at Cotton Grove and as whistle stops during the years of passenger train operations. 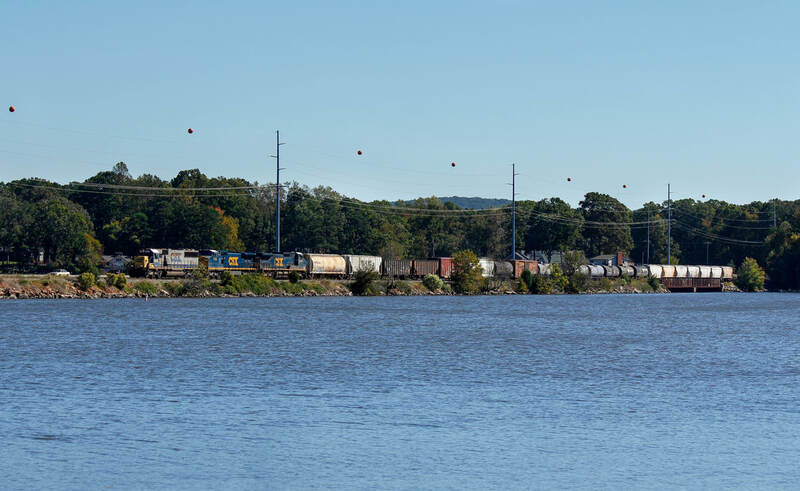 Modern shippers along the railroad at Cotton Grove are the Nippon Electric Glass and Air Products and Chemicals. A long spur was constructed that extends from the WSSB main to serve these industries. Below Lexington at Southmont, the topography for the Winston Salem Southbound Railway changes dramatically and is distinctly unique. 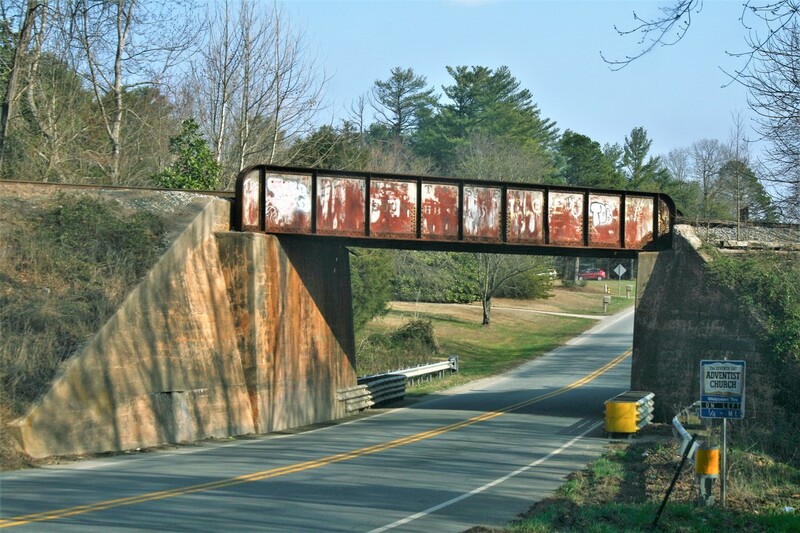 The railroad enters the Yadkin River valley and its lakes region in a sector that is scenically picturesque not only for the topography created by the reservoirs and Uwharrie Mountains but also in the manner in which the railroad traverses it. 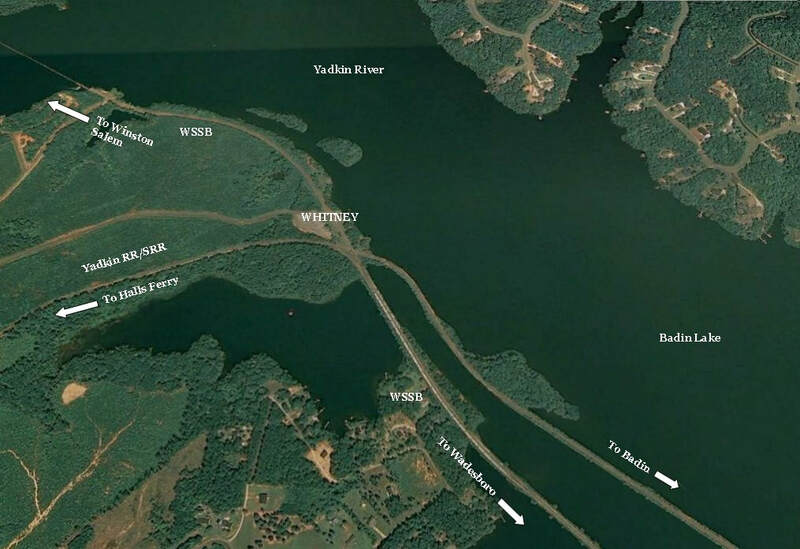 There is a chain of four consecutive lakes on the Yadkin River--High Rock (1927), Tuckertown (1962), Badin (1917), and Tillery (1928)---geographically, Lake Tillery is the Pee Dee River as the Yadkin changes to that name at its confluence with the Uwharrie River. The WSSB touches the first three lakes along the shorelines and by a series of causeways and bridge crossings. Communities in this region traversed by the WSSB include High Rock, Newsom, Tuckertown, Whitney, and Badin. During the respective eras these lakes were formed, the WSSB was forced to relocate its track in specific sectors as the pooling of water submerged the original right of way. 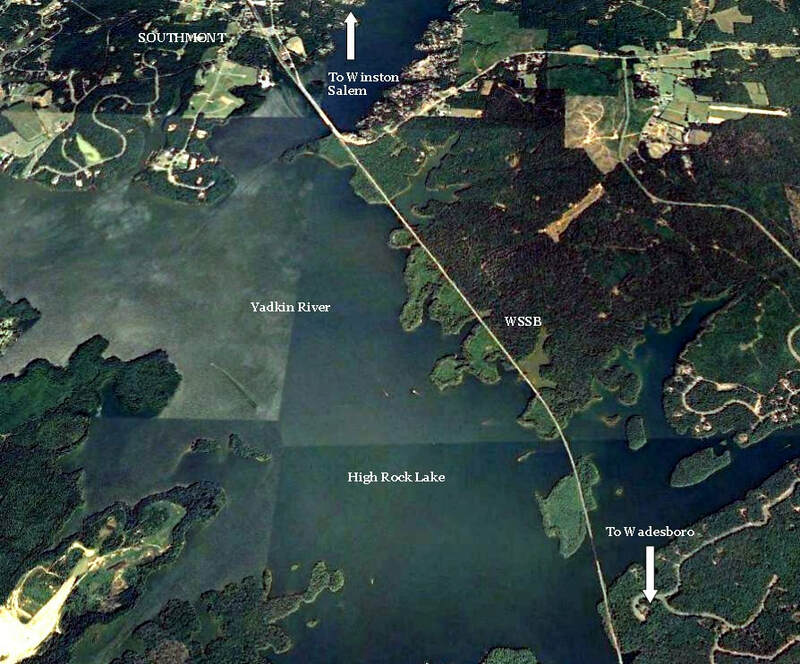 Aerial view of the WSSB along the shore of High Rock Lake below Southmont. The railroad spanning creek inlets consists of a combination of bridges and causeways. Southmont was an agricultural hamlet during the era when the WSSB was constructed continuing for years thereafter. 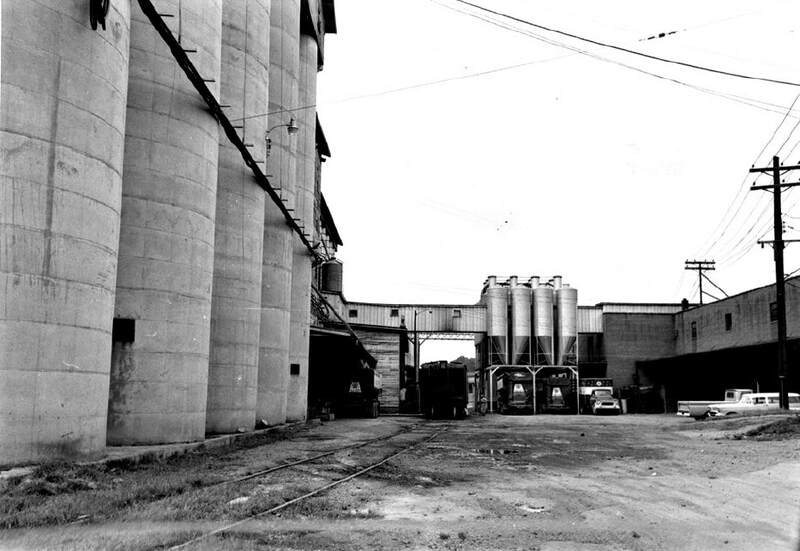 Its primary crops were corn, wheat, cotton, and oats--Southmont Flour Mill was located here to process the grains. The region was heavily forested and saw mills were built here to process the timber cuts. In 1927, High Rock Dam was built forming the lake by the same name and thus began a transformation from an agrarian community to a residential one as the region bounded by the lake developed. In terms of the railroad, the WSSB reinforced its right of way at the mouth of creek inlets by building up its roadbed on narrow strips, or causeways, to compensate for the raised water level. The line also utilizes islands---once part of the pre-lake shoreline--that were formed as a result of water filling the low areas expanding the creek mouths. South of the High Rock Lake dam nestled along the east bank of the river is the small hamlet from which it is named. During the early years of the WSSB at High Rock, the Cornell-Paul Construction Company excavated a large stone quarry that was a shipper for the railroad. High Rock was---and remains so today---a junction and location of a yard. When the Winston Salem Southbound Railway was constructed through here an interchange was established with the Carolina and Yadkin Valley Railway---the predecessor to the High Point, Thomasville, and Denton Railroad (HPT&D). Although the WSSB assumed control of this railroad in 1960, it continued to operate under the HPT&D name. During the past year (2017), the WSSB and HPT&D were merged although they will undoubtedly continue to be referred by rail employees and enthusiasts under their separate names. Google Earth view of the High Rock area. The wye junction of the WSSB/HPT&D and the yard are visible. Downstream from High Rock Dam the Yadkin River begins to pool as Tuckertown Reservoir. As the WSSB nears High Rock it passes through a section of rocky outcroppings that has been prone to slippage throughout the years. It was the scene of a derailment on a misty January 27, 1948 evening that resulted in the death of an engineer and injury to a fireman. Train #211 with 2-8-2 #300 leading 29 cars and a caboose departed Winston Salem at 3:40 PM. Running 40 minutes late, it passed Lexington at 4:47 PM and was moving at 30MPH when it approached High Rock and struck a rock between the rails 8/10 miles north of the station at 5:15 PM. The obstruction was sighted and the engineer braked the train to 12 MPH at impact. 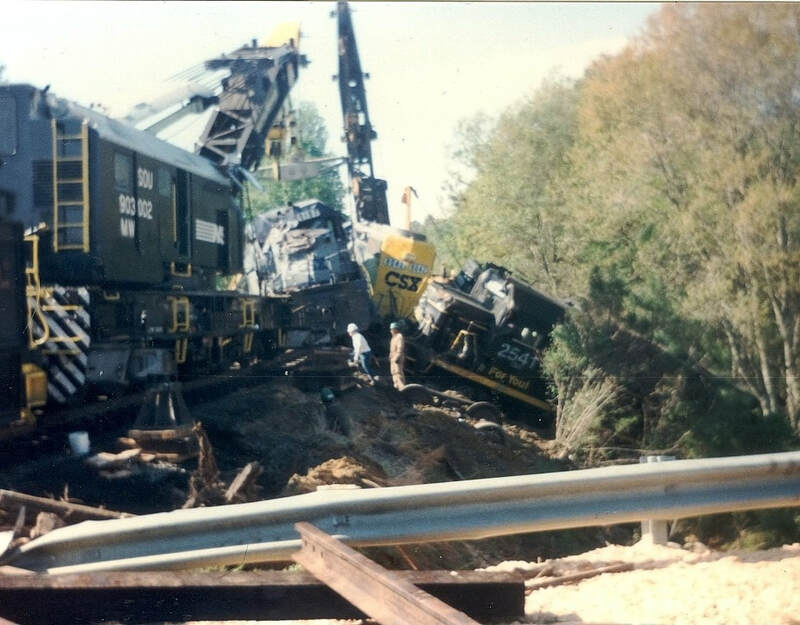 In the aftermath, the locomotive and tender derailed and lodged against the west wall of the cut inflicting heavy damage to both. In addition, the first three freight cars also derailed with the first two completely destroyed. Approximately two hours earlier, the section foreman had passed by this point without obstruction. Alternating freezing and thawing temperatures were attributed as to the cause of the rock slide in the ICC report. 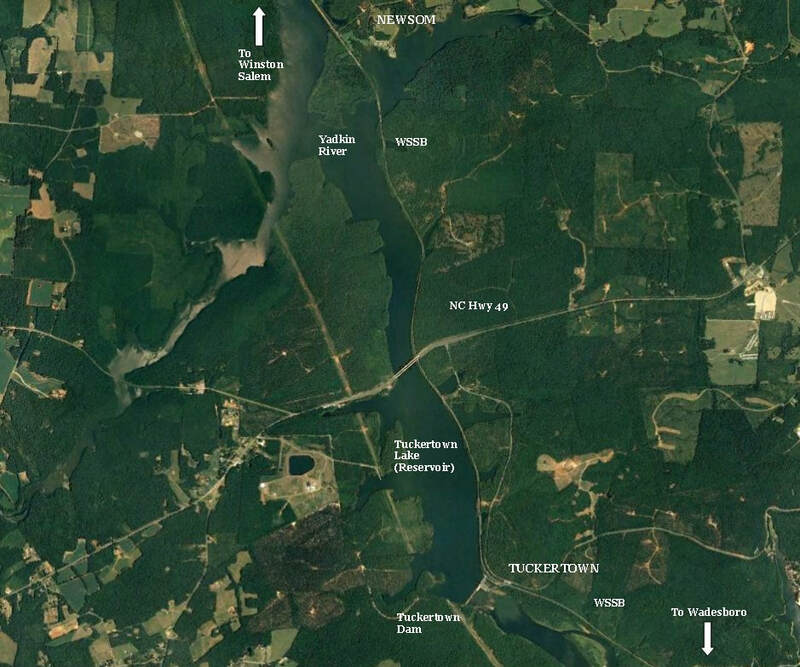 High altitude view of Tuckertown Lake (Reservoir) with the locations of Newsom and Tuckertown. The WSSB once again was forced to modify its right of way along the Yadkin River with the formation of this body of water. Two small communities the railroad traverses along the Yadkin River between High Rock and Badin lakes are Newsom and Tuckertown. The former was the site of the Ball Mountain Quarry which provided the WSSB with ballast for its right of way. 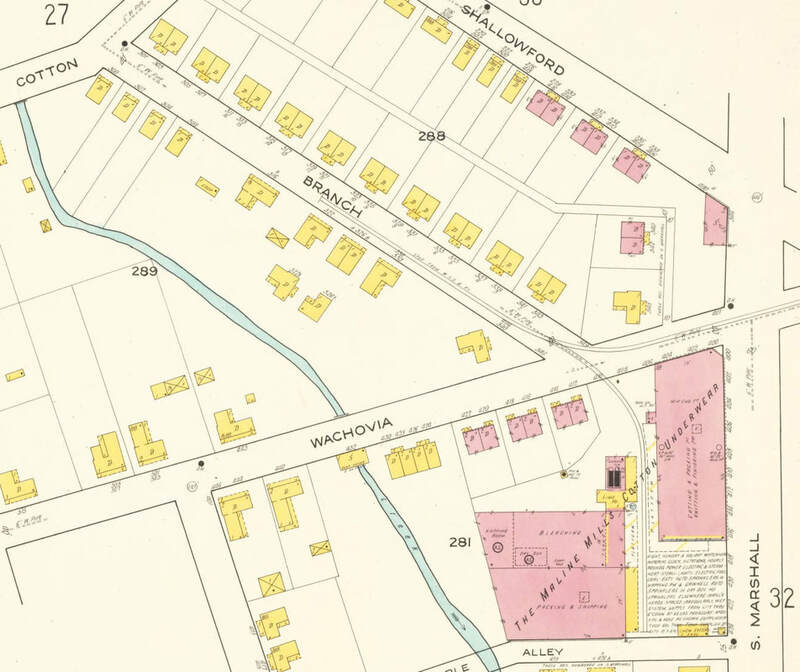 Tuckertown once hosted a rope manufacturer known as the Tuckertown Rope Manufacturing Company. 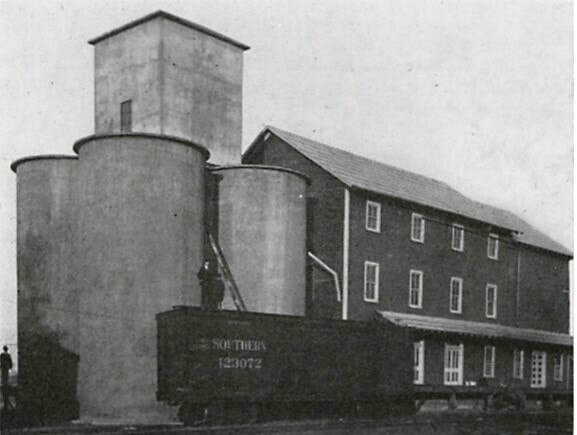 This mill was served by the railroad throughout its existence. Both communities were whistle stops during the era of passenger service. In 1962, a dam was constructed on the river at Tuckertown which formed the reservoir of which it would share the name. The lake became the fourth in the chain of power generating river impoundments and required the WSSB to construct causeways necessitated by the higher water level. Development along its shoreline is sparse as compared to the other lakes. Google Earth view of Whitney at Badin Lake. 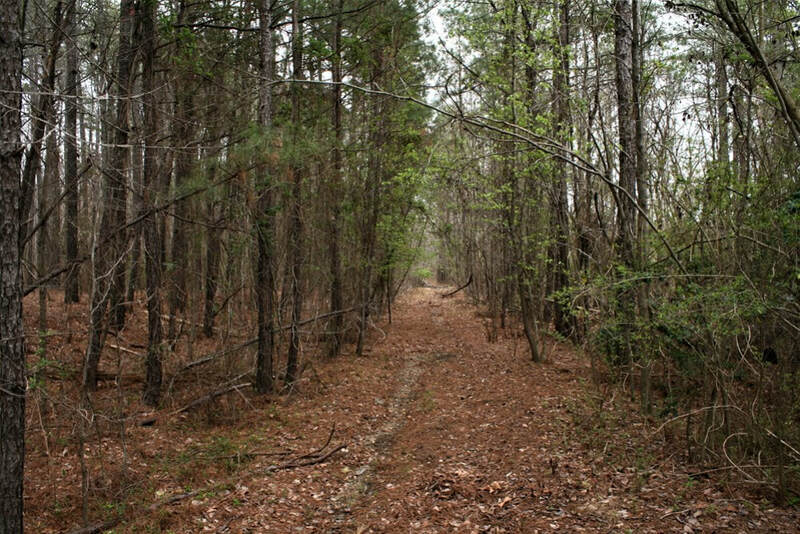 Once an active junction of the WSSB and the Yadkin Railroad (Southern) and the joint used ALCOA line to Badin. The causeways of Badin Lake are distinct ones on the lake chain. Of the smaller communities that populated the region of railroad along the Yadkin River, Whitney was among the more significant. During the early years of economic development, the potential here was tapped by harnessing the river for hydroelectric power and by the establishment of industry as a result of it. In 1916, the Southern Aluminum Company was constructed at Badin establishing both the town and a powerful economic base. Originally built by French interests, the onset of World War I led to the sale of the business to the Aluminum Company of America (ALCOA) which retained ownership of the aluminum plant for the remainder of its existence. South of Whitney, the WSSB turns in a southwesterly direction away from the Yadkin River and enters the community of Palestine. Early history records no industry on the railroad here in what was a farming region on the outskirts of Albemarle. However, Palestine was listed as a passenger stop to serve the residents of the area. Later years witnessed the development of the Stanly County Regional Airport which is adjacent to the railroad. 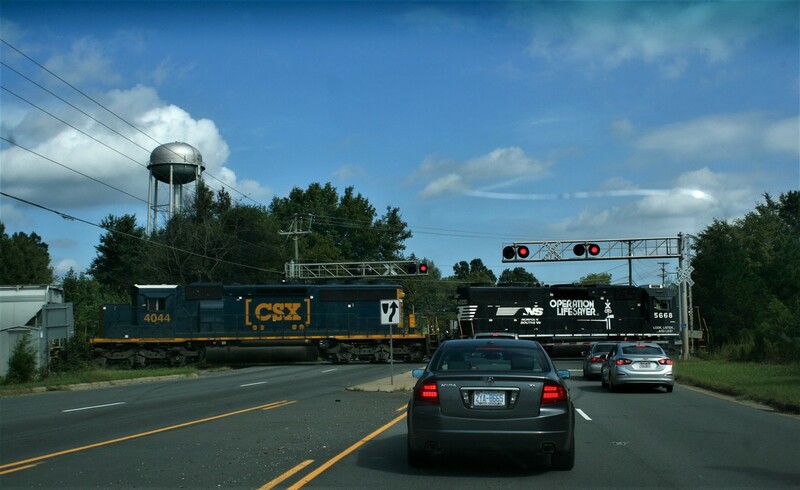 Unquestionably the most important commercial location on the Winston Salem Southbound Railway along its southern sector was the city of Albemarle. In its heyday, it was a commercially active location that generated revenue for the railroad dominated by the textile industry. 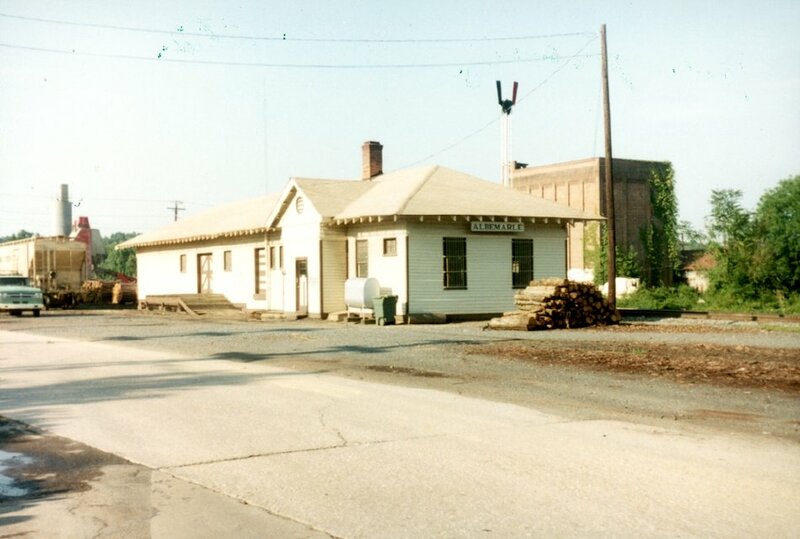 As the largest population center between Lexington and Wadesboro, it was also a prominent passenger train stop during the 23 years the WSSB provided the service. A 1922 Sanborn map depicting the Efird and Wiscassett Mills in full glory. 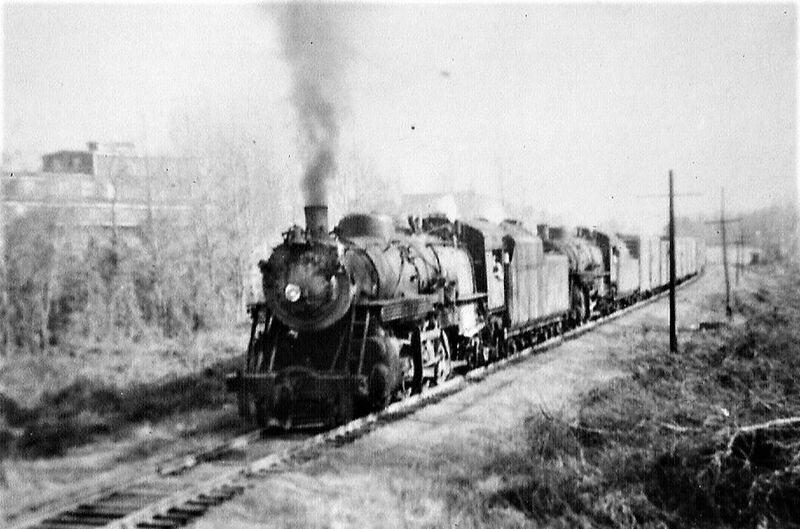 The two mills were large shippers for both the WSSB and Yadkin Railroad. 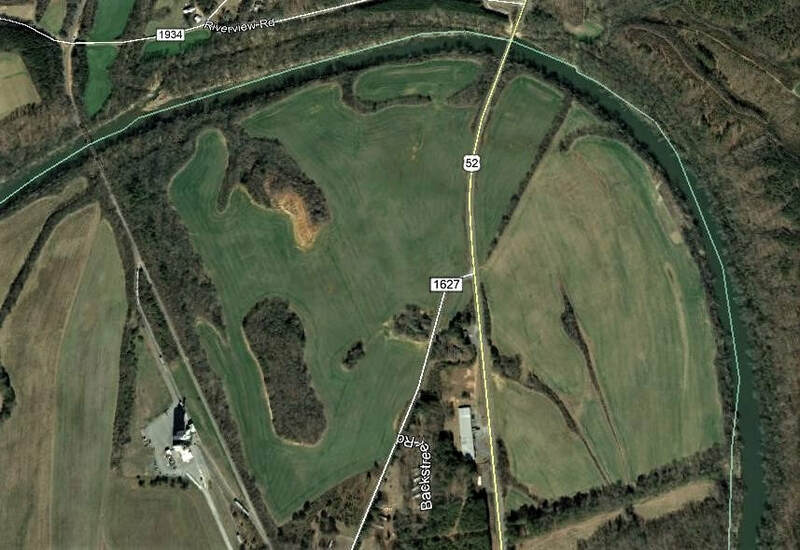 A 2008 Google Earth image of the changed landscape at Albemarle. The WSSB/Yadkin Railroad junction was at the north end of town. During the early 2000s, the diamond was removed as was the former Yadkin trackage. When the Winston Salem Southbound Railway arrived at Albemarle in 1910, it entered a town already ensconced by industrial commerce as well as with another railroad. The textile industry was the anchor of business with the large Efird and Wiscassett Mills as the centerpiece. Rail service existed with the presence of the Yadkin Railroad which was operating between Salisbury and Norwood. 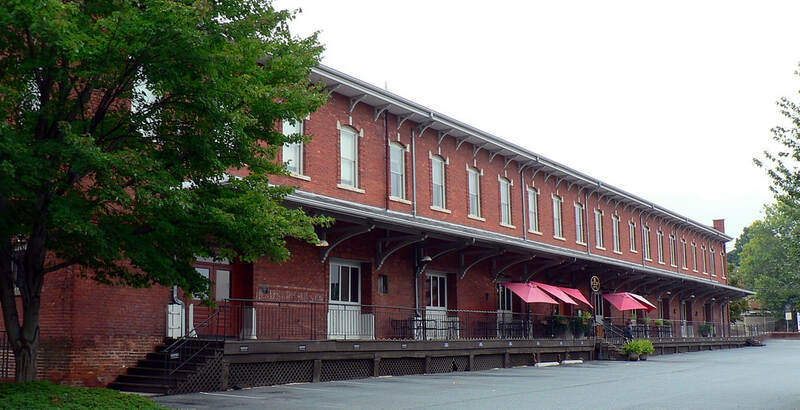 Into this established environment the WSSB entered; not only did it carve a foothold by acquiring a share of the Albemarle market but also superseded the Yadkin Railroad (later the Southern Railway) in a number of measures. 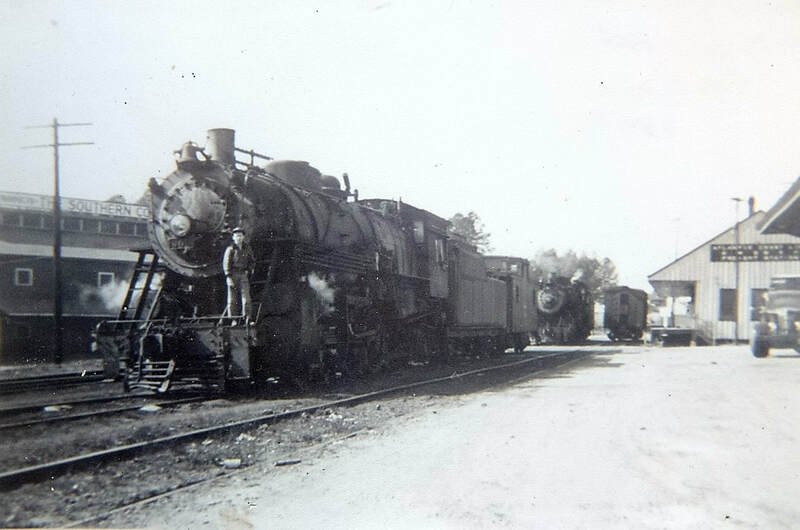 During the passenger era encompassing the years 1910-1928, the WSSB was by far the superior alternative to the Yadkin Railroad at Albemarle---it simply had more connecting options and numbers of trains. Northbound passengers on the WSSB at Albemarle could connect with the Southern Railway at Lexington and Winston Salem as well as the Norfolk and Western Railway also in Winston Salem. 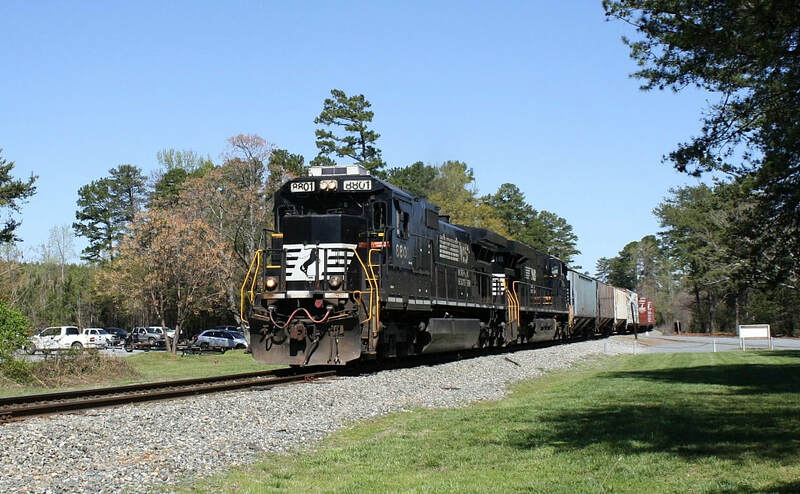 Southbound passengers could switch trains at Norwood on the (original) Norfolk Southern in addition to the Atlantic Coast Line and Seaboard Air Line at Wadesboro. 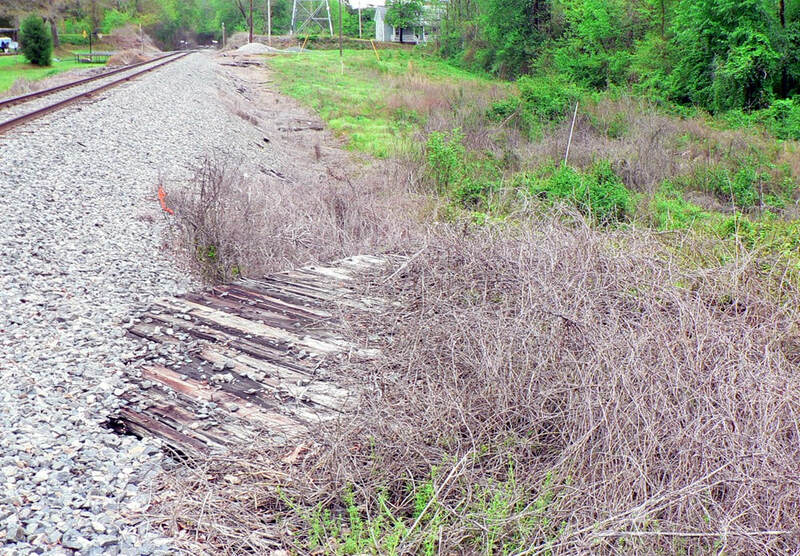 By comparison, the Yadkin Railroad could only reach the Southern Railway at Salisbury. That the Yadkin Railroad passenger base survived until 1928 could be attested to the local travelers along its route in Rowan and Stanly Counties. Of course, this comparison became moot in 1933 when the WSSB abolished its service as a result of a steadily vanishing passenger base. Textile shippers served at Albemarle during the early years of the WSSB included Efird Mills, Wiscassett Mills and the Lillian Knitting Mills. Other customers included the Albemarle Brick Company, Southern Power Company, Albemarle Flour Mills, Albemarle Furniture Company, and the Albemarle Coal and Ice Company. Later shippers included E.E. Snuggs Lumber and All Star Flour Mill. These shippers remained for years until closures or successors caused their disappearance. Today, the once mighty textile industry at Albemarle is gone and no trackside shippers remain. Trains on the WSSB now only pass through or occasionally meet another at the passing siding located here. The railroad returns to a region of rolling hills as moves southward from Albemarle sporadically broken by pastures and farmland. Once upon a time an engineer and passengers moving on the WSSB would pass a train on the adjacent Yadkin Railroad probably giving a casual wave to the crew or patrons on its train. As the two routes paralleled between Albemarle and Norwood, perhaps it may have partaken to a friendly race of two trains moving in the same direction. Scenes such as this are now 80 years distant and crews on WSSB trains today can spot the random traces of the Yadkin Railroad roadbed in select locations. Nestled between Albemarle and Norwood is the small hamlet of Porter that falls within the domain of farm country. No large scale industry appears to have existed here during the early era of the WSSB but it was a passenger stop. A shipper located south of the community today is Crop Production Services, a maker of fertilizer products. 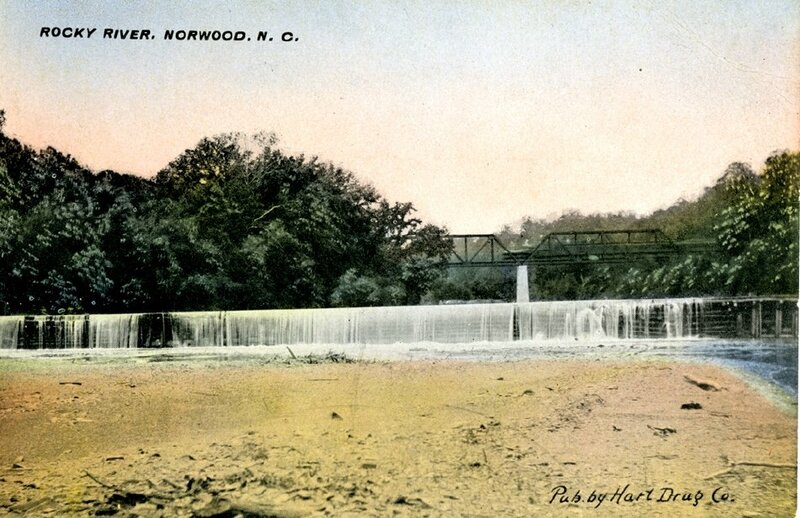 As a rule, it is generally a larger urban area that hosts three or more railroads but the small town of Norwood could lay claim to such until the late 1930s. The Yadkin Railroad was the first to arrive and terminate there followed by the north-south WSSB in 1910 and the east-west Norfolk Southern Railroad in 1916. Situated in farm country, Norwood also was the site of the textile business as well as a flour and saw mills. Two early industries served by the WSSB were the Norwood Cotton Manufacturing Company and the Norwood Flour Mills. 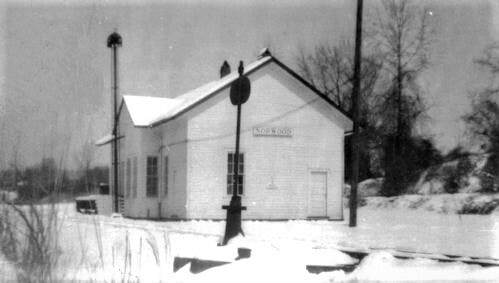 During the passenger train era all three railroads maintained an individual depot. Rail traffic is infrequent through Norwood as compared to years past but it remains an active junction. The Aberdeen, Carolina, and Western Railway—successor to the Norfolk Southern Railroad heritage---passes over the Winston Salem Southbound Railway on a deck bridge at the west end of Norwood. An interchange track connects the two as cars are exchanged here by both roads. As the WSSB continues southward, it crosses the Rocky River on a three span truss bridge in a broad farming area occupying the bottomland. A present day WSSB shipper, Perdue Agribusiness, is located here. Google Earth view of the area directly south of Norwood. The WSSB crosses the Rocky River on a three span truss bridge as it enters the bottomland within the bend of the river. Perdue Agribusiness, an online shipper since the 1990s, is visible south of the bridge. The remaining 20 miles of the Winston Salem Southbound Railway from Norwood to Wadesboro is the sparsest region--minus the Yadkin River lakes-- traversed on the entire route. It is defined by forested rolling hills interspersed with farmland with two communities recognized on the WSSB timetables. The first, Cedar Hill, was noted as prime farming country during the early years of the railroad and was a scheduled stop for passenger trains. Ironically, Cedar Hill is one of the lowest points of elevation on the entire route of the WSSB. Continuing south through the rural stretch the WSSB passes through Ansonville. This town is also rich in agricultural heritage and was a primary source for crops such as corn and cotton. The WSSB included this as a stop during the era of passenger trains and a short siding remains here where the depot once stood. 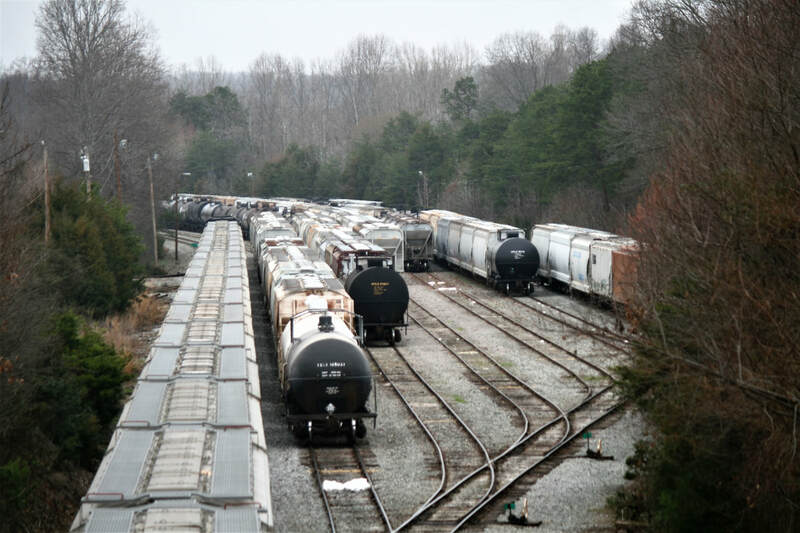 The region between Ansonville and Wadesboro has been the site of modern development in regards to rail shippers for the WSSB. 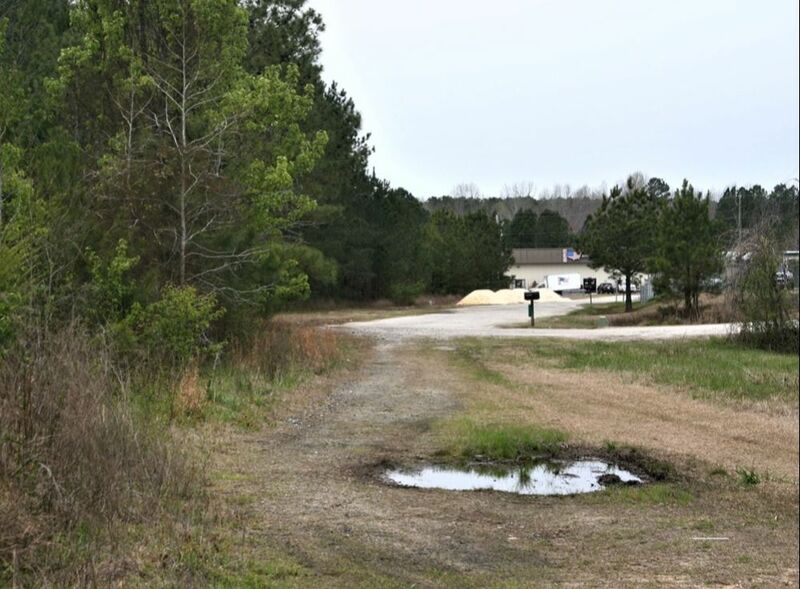 Located along the route are the Valley Proteins, Inc. and the Triangle Brick Company, the latter of which both it and the railroad are adjacent to the Anson County Airport. As a general rule the area surrounding Ansonville is not as thoroughly documented as other regions along the WSSB. Roadway access to the railroad is limited which accounts for fewer photographs taken here throughout the years. 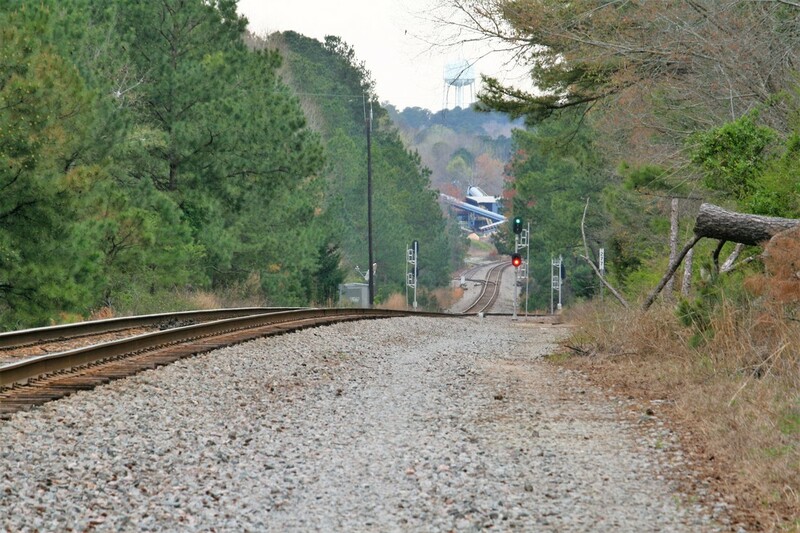 The historical significance of rail in Wadesboro is generally lost to contemporary times. Perhaps this is due to how the city is laid out with respect to the remaining railroad operations within its realm. For a traveler (or rail enthusiast) passing through, US Highway 74 bypasses the tracks entirely thereby rendering them out of sight and out of mind. It is little wonder then that the location---as a rule--is overlooked today and its railroad past is disguised. 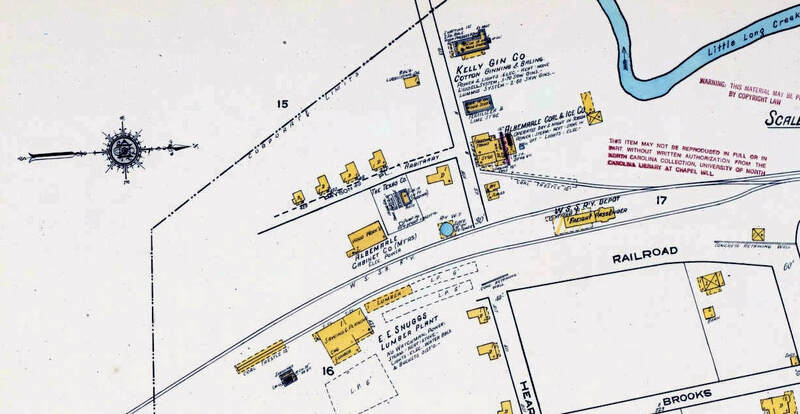 The railroad center of Wadesboro was a hot spot for many years and this 1914 Sanborn map highlights it during its prime. Freight stations of the Atlantic Coast Line (of which the WSSB also used) and the Seaboard Air Line were located adjacent to their respective lines. The union passenger station used by all three roads plus the Southern Cotton Oil plant packed this pocket with teeming rail activity. When the Winston Salem Southbound Railway arrived at Wadesboro in 1910, it was predated there by nearly three decades by two other roads. Completing their respective lines through town concurrently were the Cheraw and Salisbury Railroad in 1873 and the Carolina Central Railway by the end of 1874. By the time of the WSSB arrival, the Cheraw and Salisbury Railroad had been absorbed into the Atlantic Coast Line (ACL) (1898) and the Carolina Central Railway now the Seaboard Air Line (SAL) (1901). Of course, it was more than a casual glance by the ACL of the WSSB entrance to town as it obviously had a vested business interest. 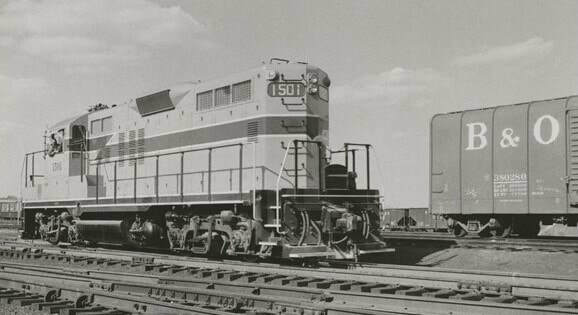 New WSSB GP9s #1504 and #1502 lead a northbound extra in this 1958 scene. 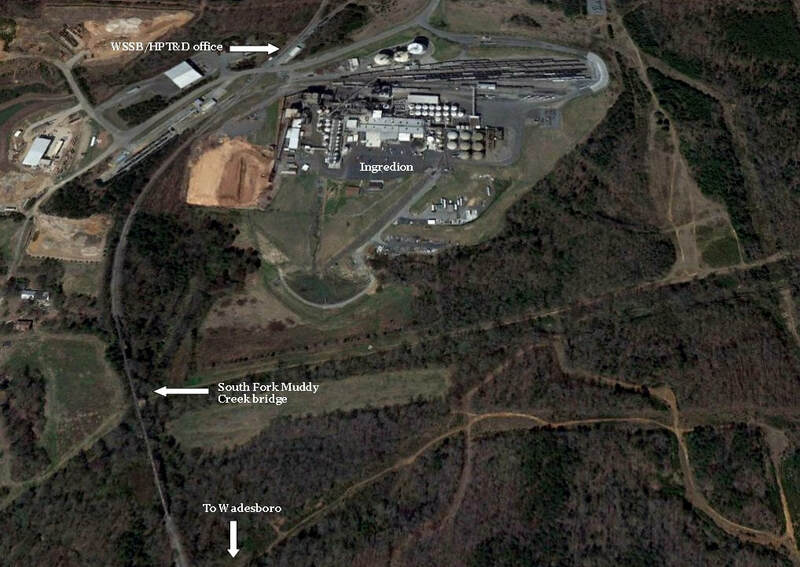 The massive Virginia-Carolina Chemical Company dominates the background. Image courtesy Patrick Treadaway. 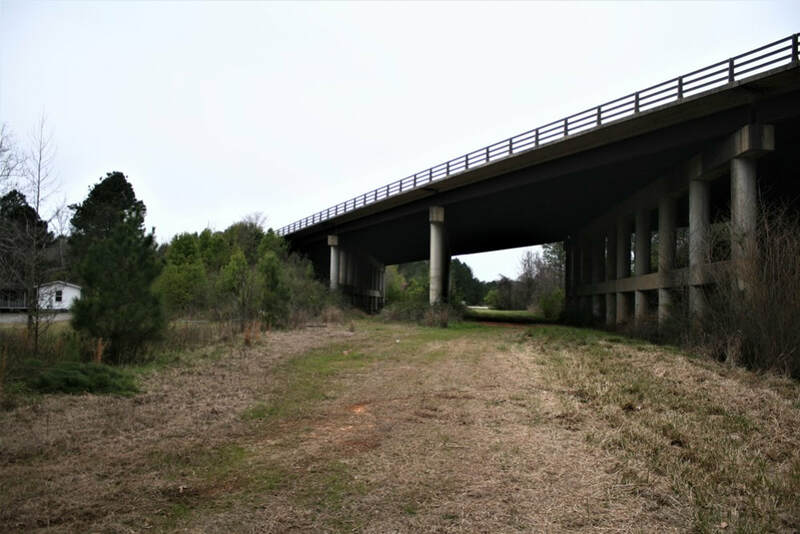 The WSSB entered Wadesboro on a due south course passing beneath the Seaboard Air Line before ending with a junction to the ACL at the south side of town---beneath the present day US Highway 74 bridge. A wye connection was strategically installed here that enabled both the WSSB and the ACL to turn its locomotives and/or trains to and from the freight and passenger stations. The WSSB was granted full usage of ACL trackage to its freight station and to the union passenger station used by all three railroads. 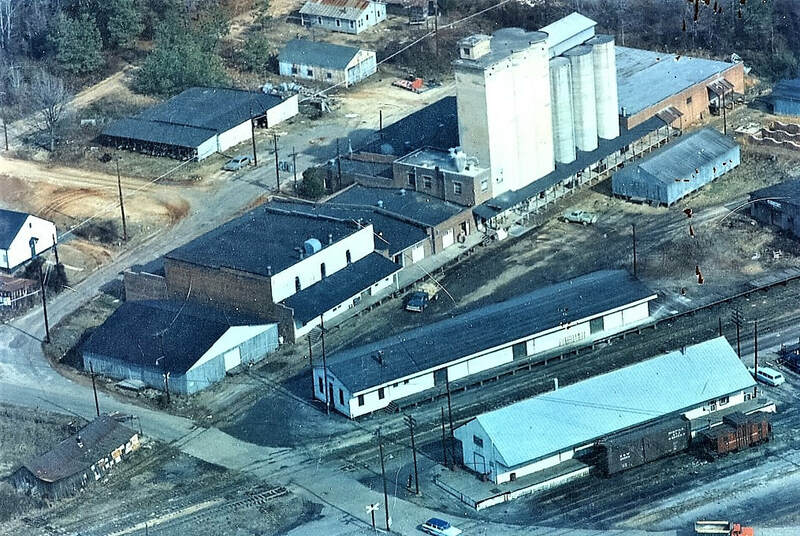 Little development occurred along the WSSB itself in Wadesboro except for a small yard at the wye and the Virginia-Carolina Chemical Company—its primary function here was for interchange freight and as a gateway to and from the ACL. 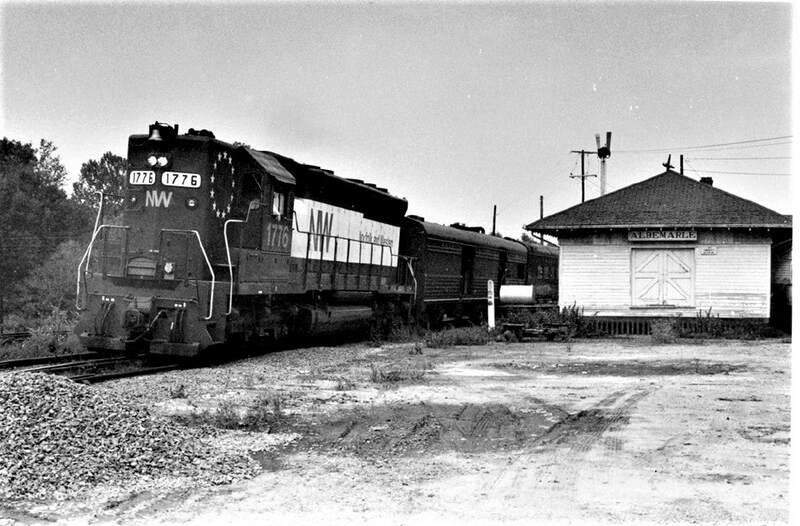 Just as the WSSB was to the Norfolk and Western Railway at Winston Salem, it fulfilled the same role for the Atlantic Coast Line at Wadesboro. Serving as a bridge route, it funneled raw material and manufactured goods from the south to northern markets and reciprocally received manufactured goods and commodities such as coal from the north. During the 23 years of passenger service on the WSSB, the interrelationship with the ACL was possibly at its peak. In addition to the freight traffic, there were passenger trains on the WSSB that continued south over the ACL through Cheraw to Florence, SC. At Wadesboro, the WSSB power was exchanged with that of the ACL. 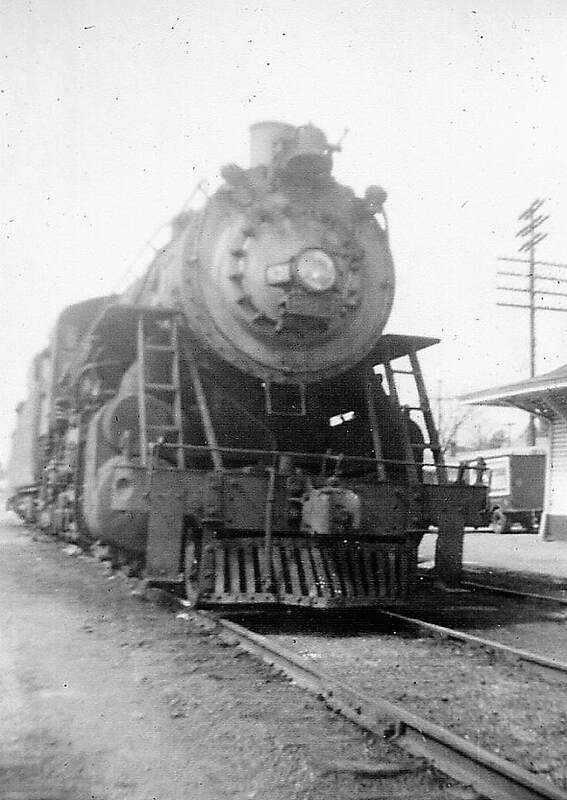 A pair of vertical images of WSSB 2-8-2 #300 at left and 2-8-2 #834 at right in 1954 Wadesboro by the union passenger station. We owe a debt of gratitude to Patrick Treadaway and thousands like him for having the wherewithal to capture what was then everyday fare before a futuristic age of inexpensive digital photography. Treasured scenes such as this are the solitary connection to bygone eras that predate most of our lifetimes. A listing of early shippers at Wadesboro served by the Winston Salem Southbound Railway would include the following. These are either directly, via the ACL, or by interchange with the Seaboard Air Line: Wadesboro Cotton Mills, Southern Power Company, Virginia-Carolina Chemical Company, Wadesboro Ice and Storage Company, Carolina Silk Mills, and the Wadesboro Manufacturing Company. 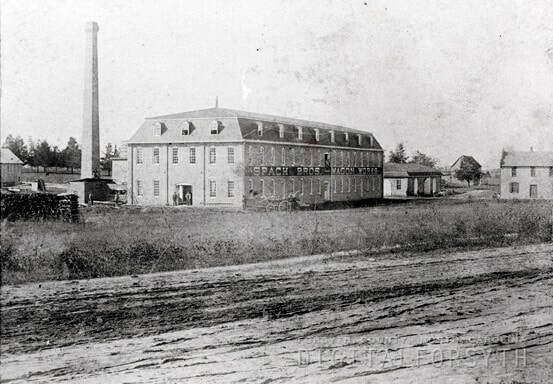 A large textile operation that later developed as another shipper was Mead Mills. In addition, various businesses not located trackside were served via the ACL freight terminal. The harbinger of change onset in Wadesboro during the 1960s. A 1965 derailment on the Seaboard Air Line in town inflicted heavy damage to the ACL freight terminal that was deemed unsalvageable—as a result, the structure was demolished. Two years later the Atlantic Coast Line and Seaboard Air Line merged into the Seaboard Coast Line creating an expansive railroad network in the South—it also created redundant trackage as both railroads had served a multitude of the same locations. 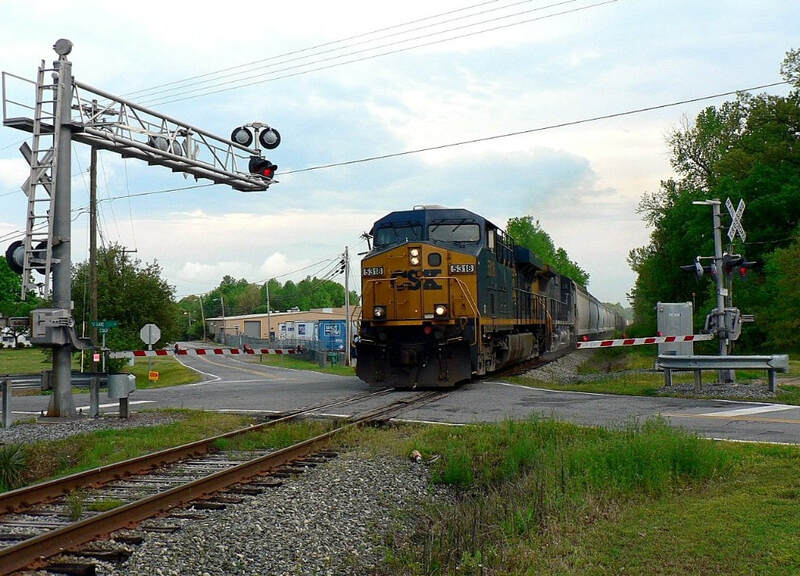 The consolidated railroad sought to eliminate duplicate lines and on the radar was the ACL Florence-Cheraw-Wadesboro corridor slated for eventual abandonment. 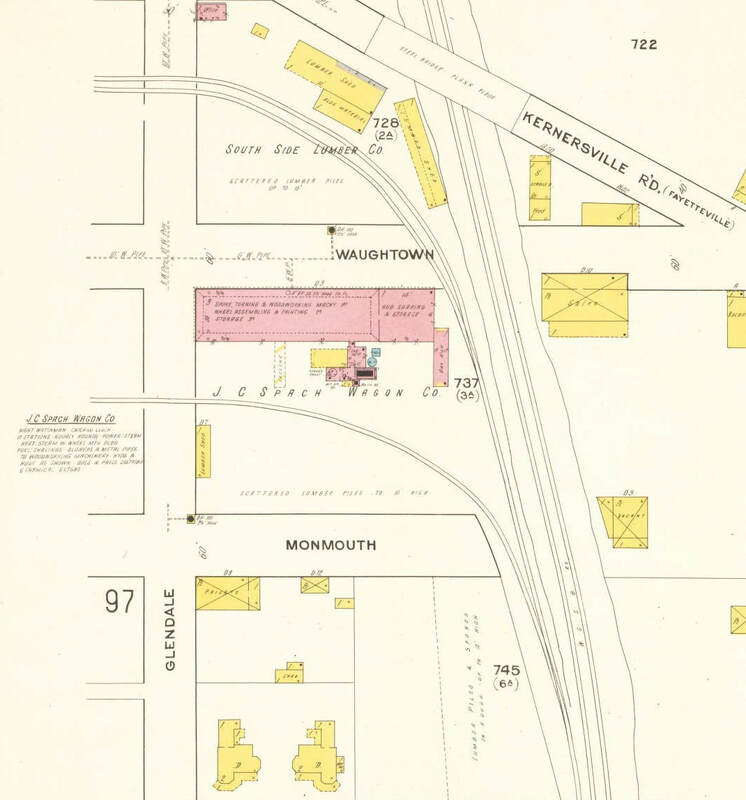 The impact on the WSSB was to modify its southern junction as to where it would connect in an easterly direction to the former SAL Hamlet-Monroe line with its traffic now funneling to and from Hamlet. 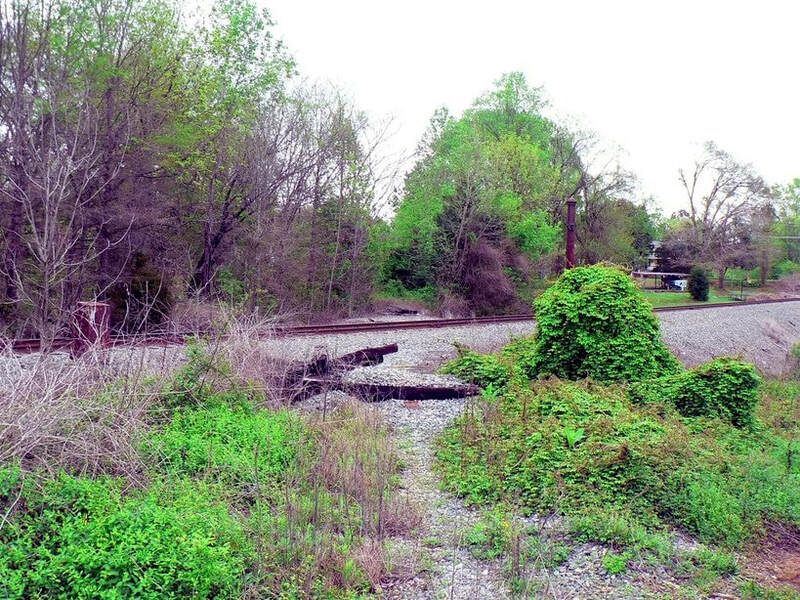 Eventually, the WSSB abandoned the original section of track that passed beneath the SAL to its connection with the ACL at Wadesboro Junction but it remained intact until at least 1980. 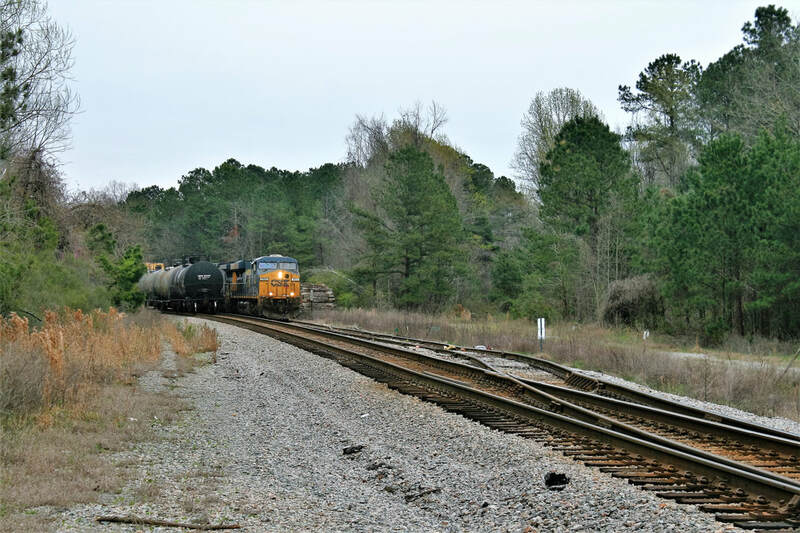 Today, no track remains south of the CSX Monroe Subdivision (former SAL) in Wadesboro. Google Earth view of Wadesboro highlighted with the railroad configuration of the past before the ACL/SAL merger into Seaboard Coast Line. The abandonment of the ACL route transformed the layout resulting in a short section of the WSSB cut as well. A new connection was added on the SAL main as a replacement. Unless one is familiar with the railroad history of Wadesboro, a day spent exploring the city will yield scant few clues as to the extent of the railroads here as they were in the halcyon years. The abandoned sections of ACL and WSSB rights of way are traceable in specific areas but subsequent overgrowth and development have altered them in others. Few landmarks remain here to attest to a prominent past. What makes an immediate impression is that no railroad related structures survive here despite the fact that it was served by three roads. 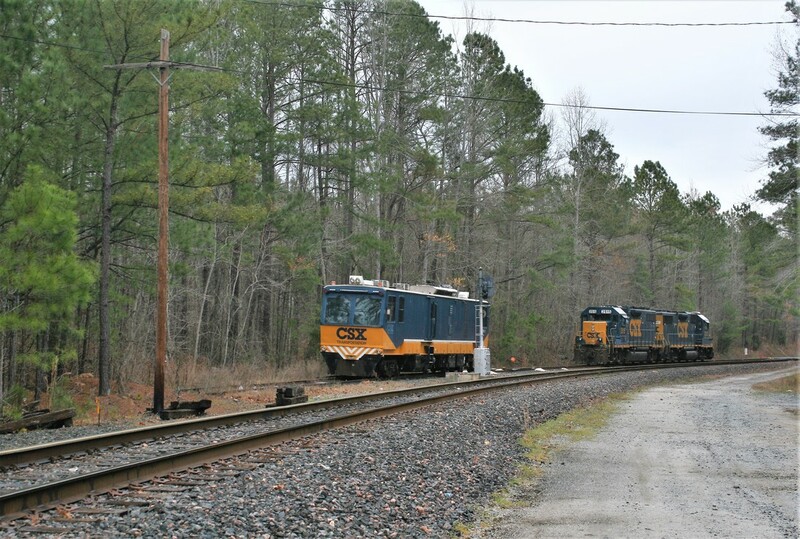 The depots all passed into history beneath the bulldozer tread years ago and today CSX trains move through the center of Wadesboro on a single track that is a mere shadow of what once was. Mother Nature has reclaimed substantial areas further hiding the secrets of yesteryear. 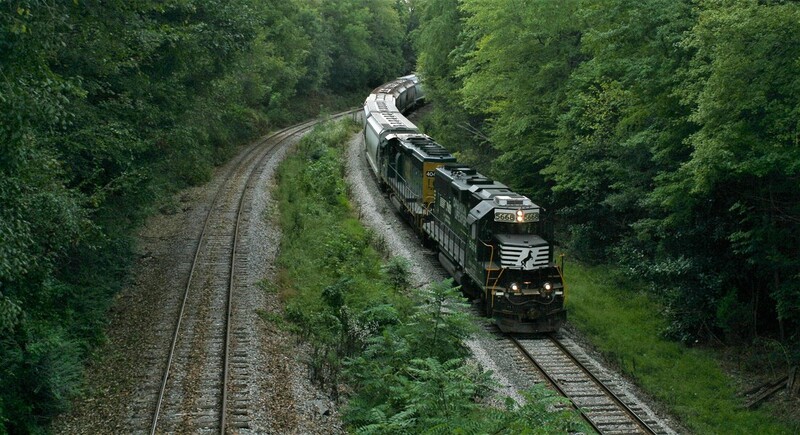 The Winston Salem Southbound Railway is dynamic in its historical lineage as a co-owned and operated railroad that spans 100 plus years of existence. Locomotives in the diesel era that have operated on its rails cover the gamut of CSX and NS predecessors in fallen flag paint renditions creating exceptional diversity for a small railroad. It has been the inspiration for model railroads ranging from prototype adherence to freelance. Best of all, the railroad still exists today. Because of these reasons---and surely more-- the WSSB has attracted a faithful group of admirers that appreciate its history, road power variety, and that keep pace with its current operations. The railroad has transitioned successfully from the loss of shippers of traditional regional industries of the past to serving modern businesses that keep the rails shiny. There are certainly challenges to increase the volume---even to maintain it---but that is a reflection of the rapidly changing railroad culture and operational philosophies that exist today. Let us hope that the WSSB can continue to thrive and further build upon its legacy. This humble effort is dedicated to my friends David Weaver and Patrick Treadaway---who grew up on opposite ends of this railroad--- for their valuable input and assistance in making this piece possible.